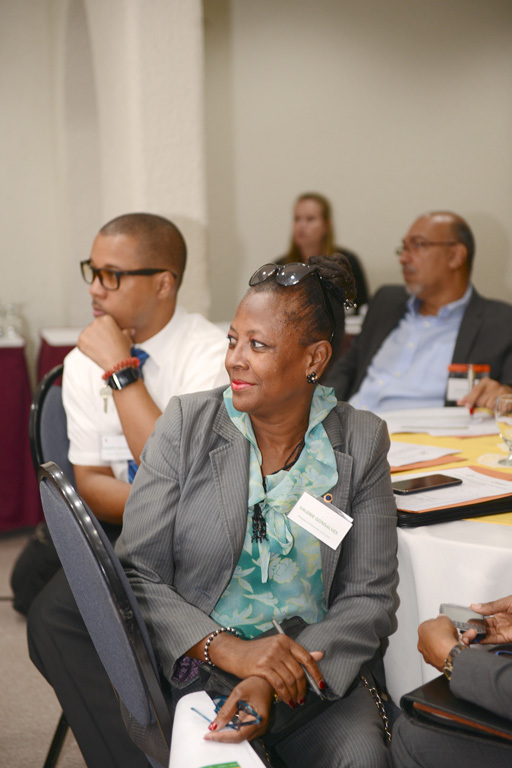 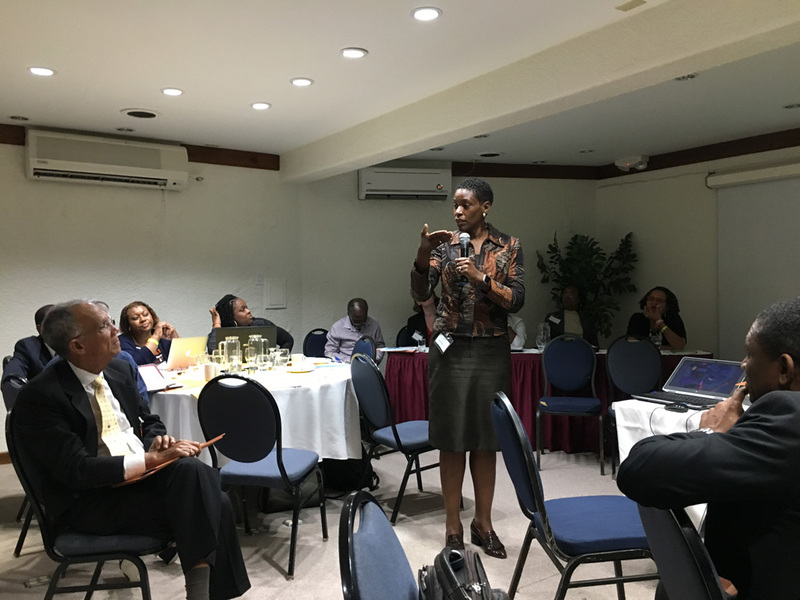 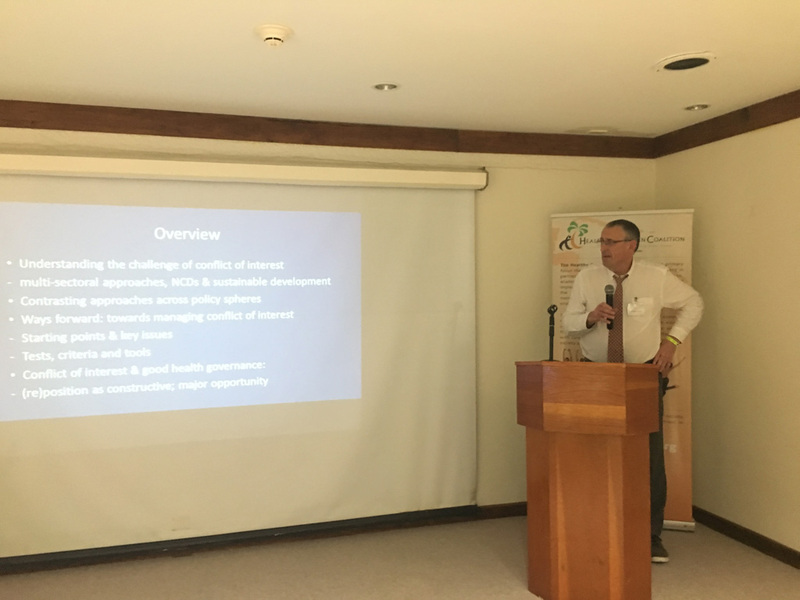 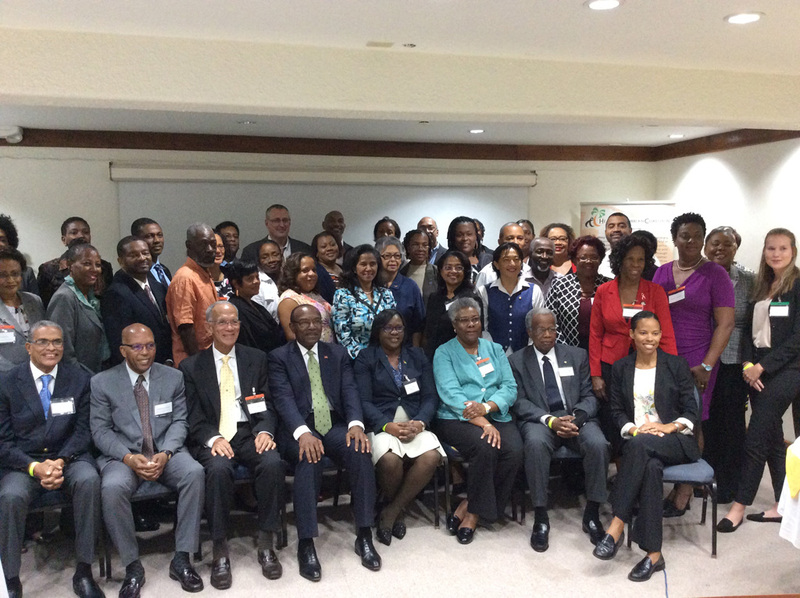 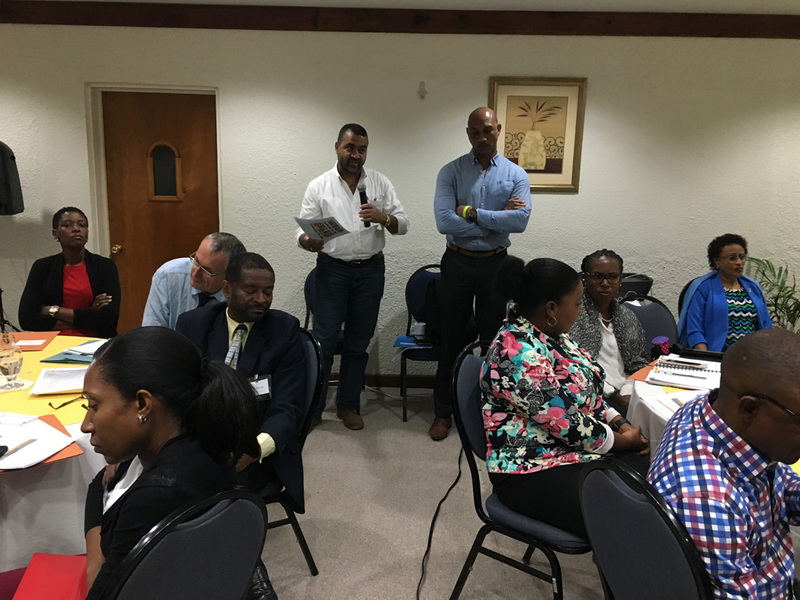 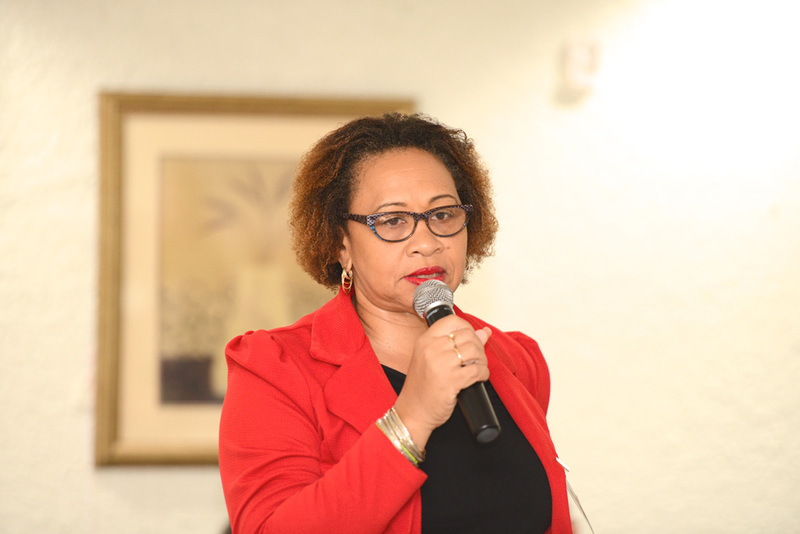 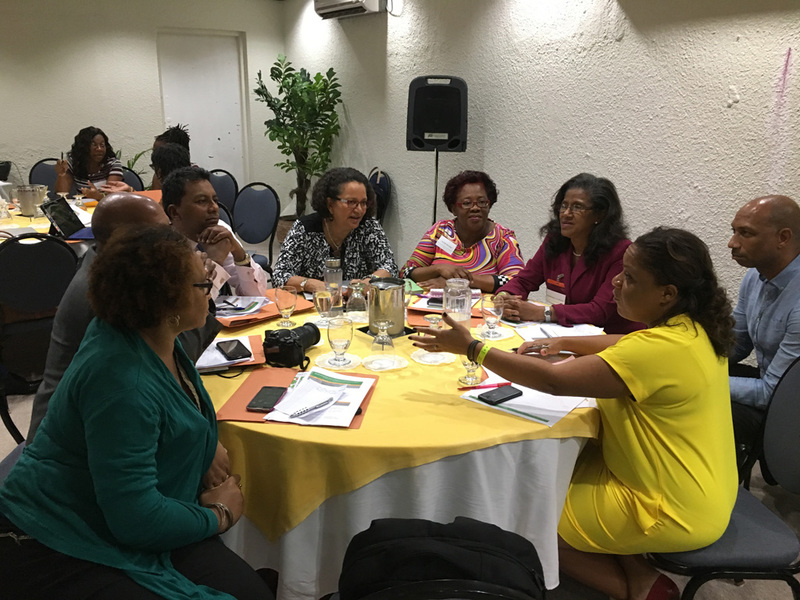 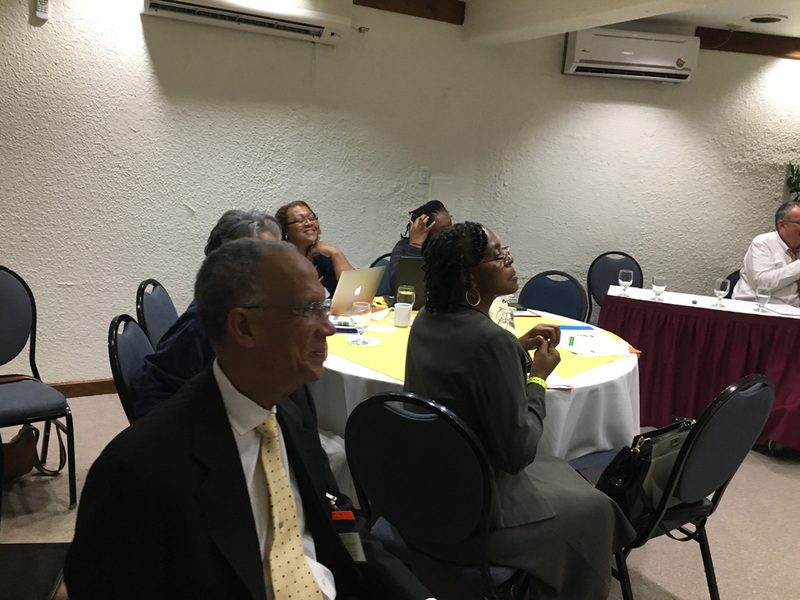 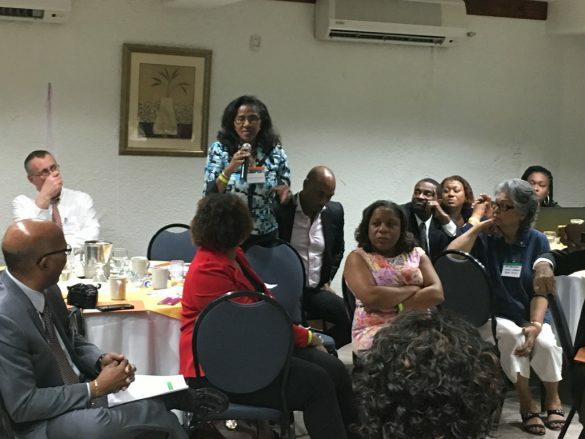 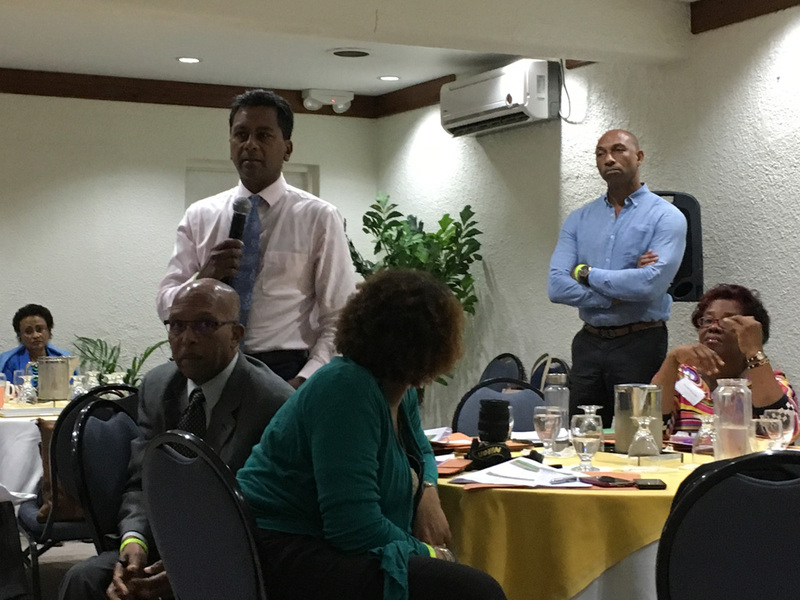 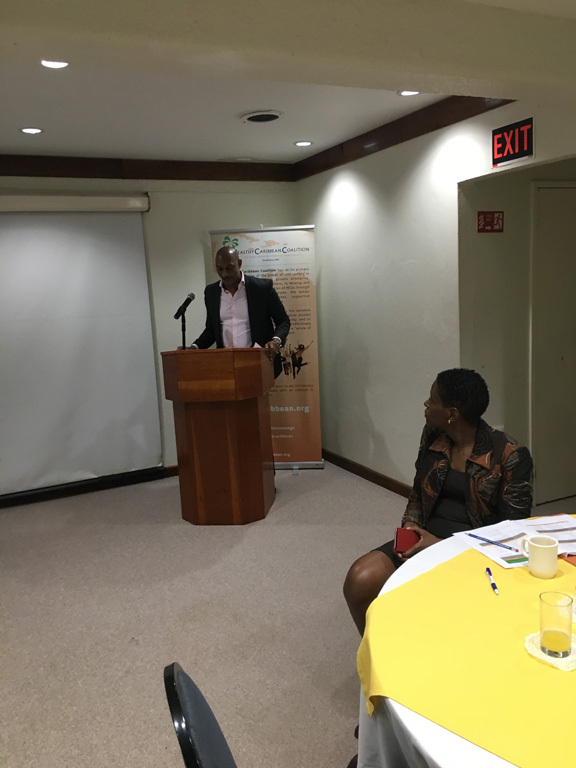 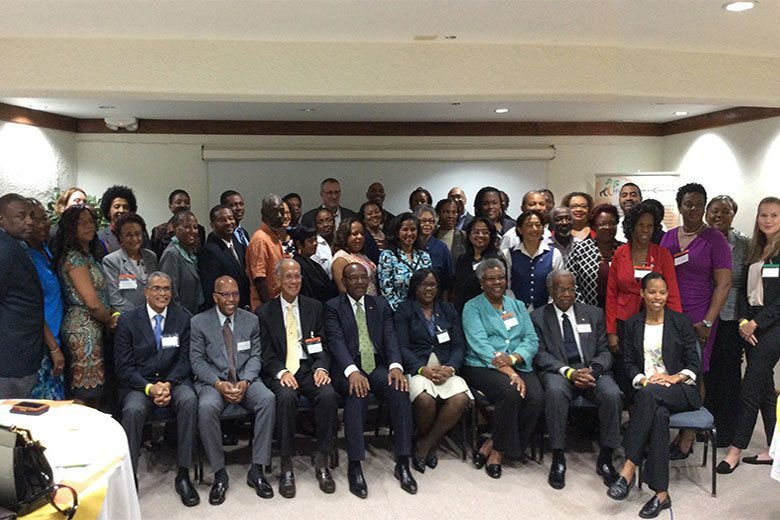 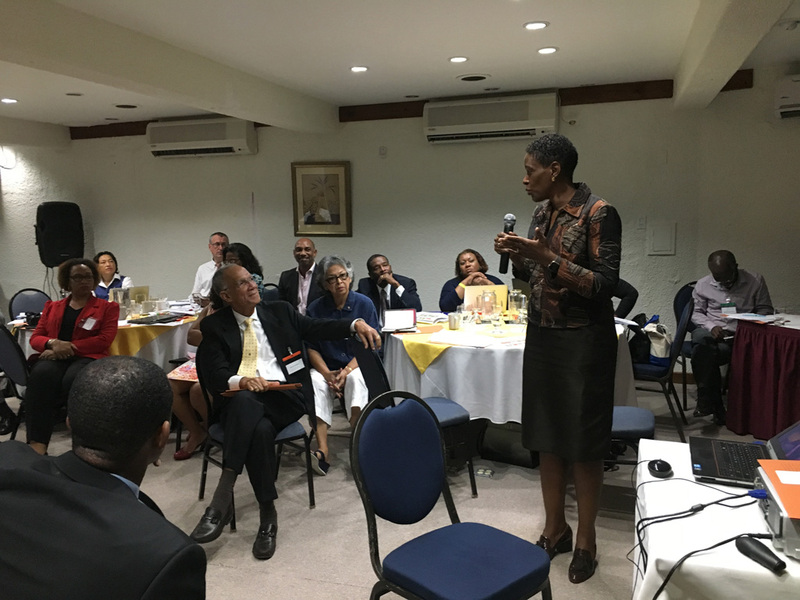 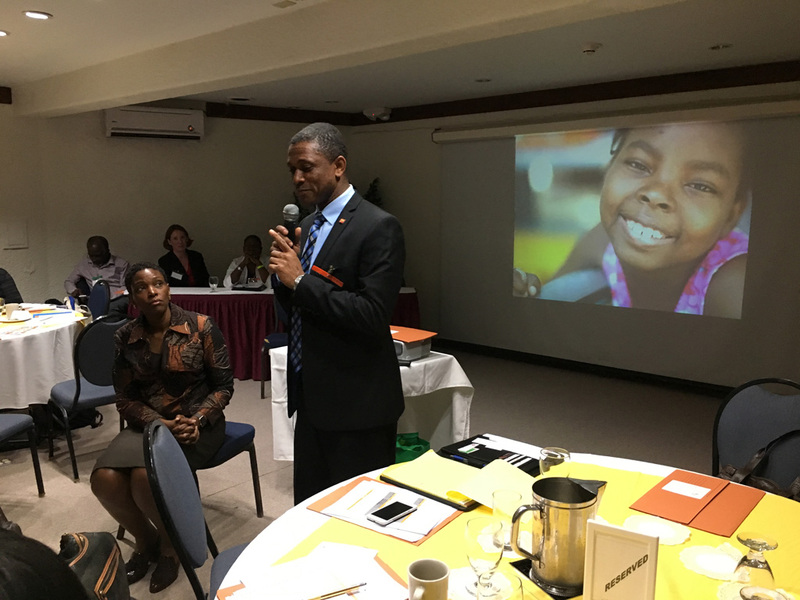 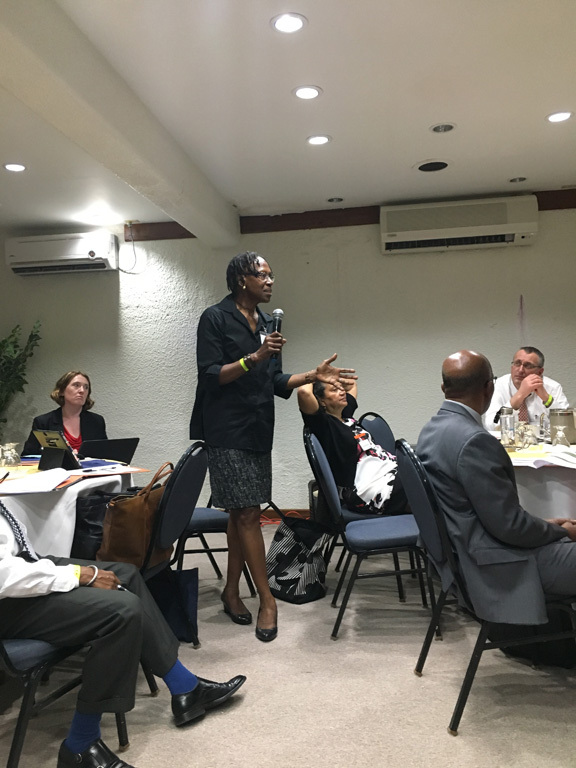 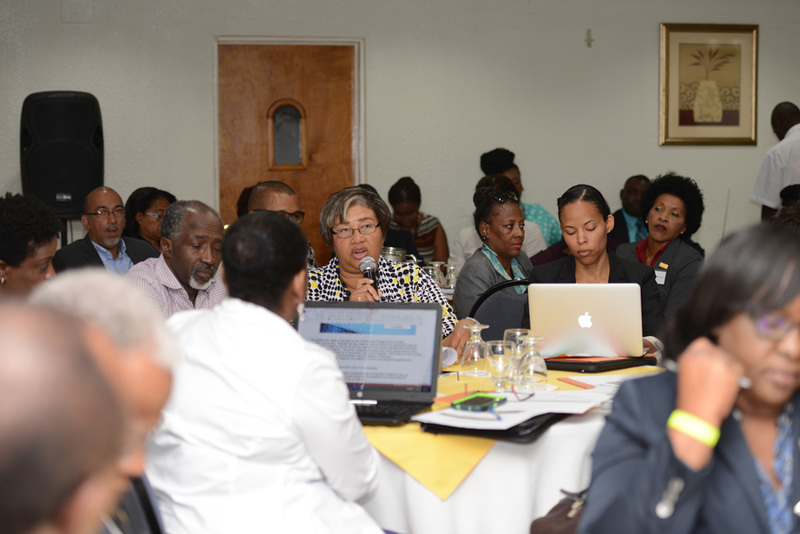 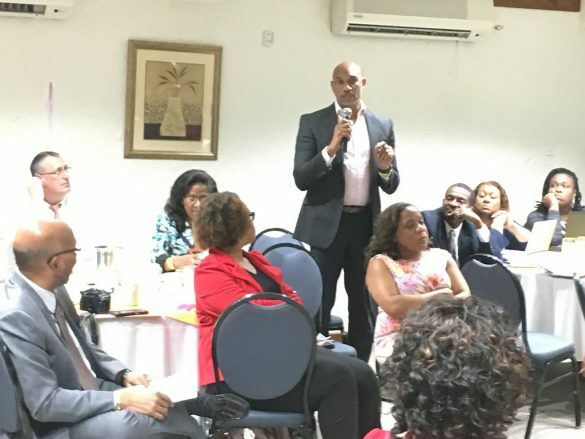 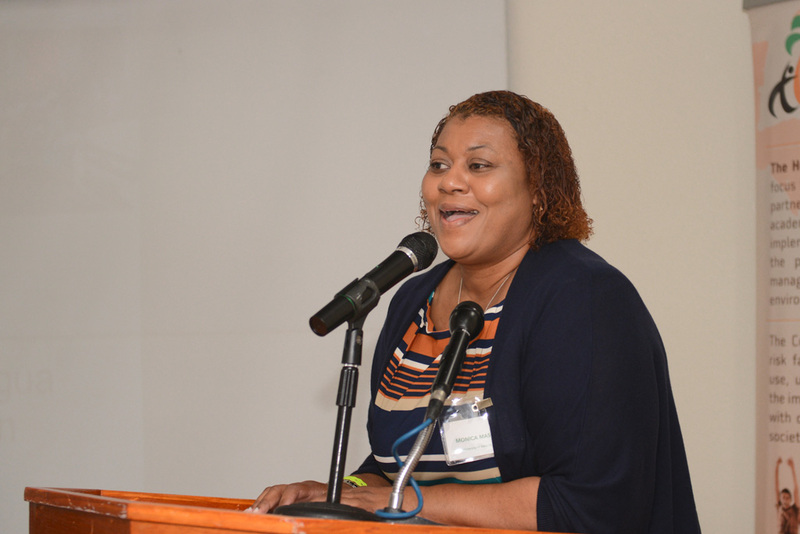 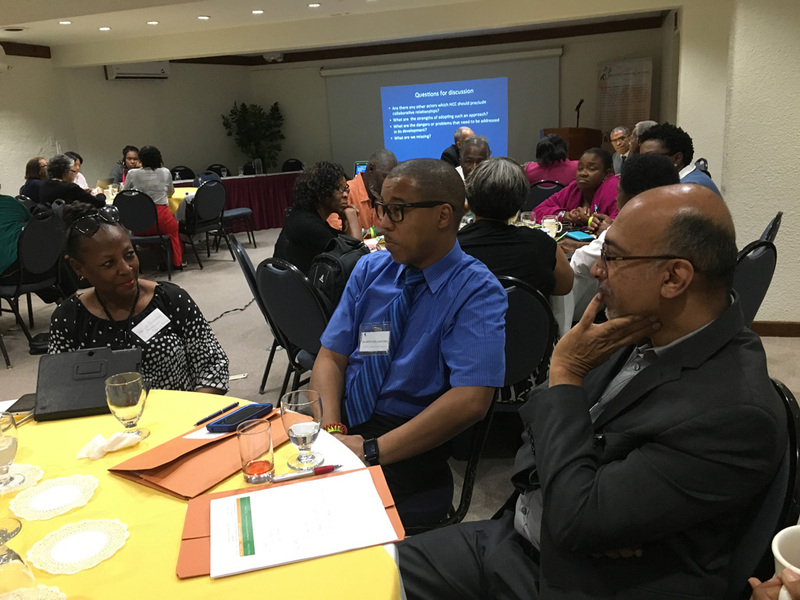 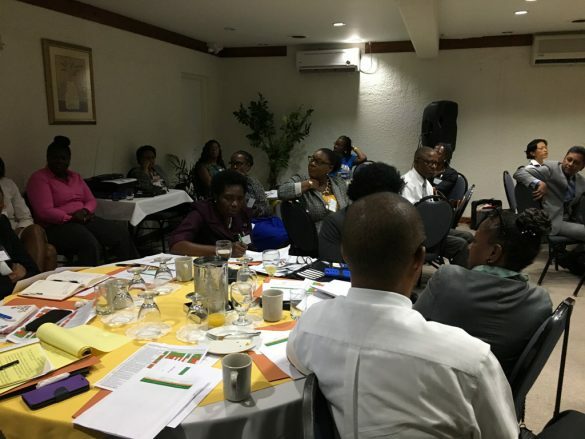 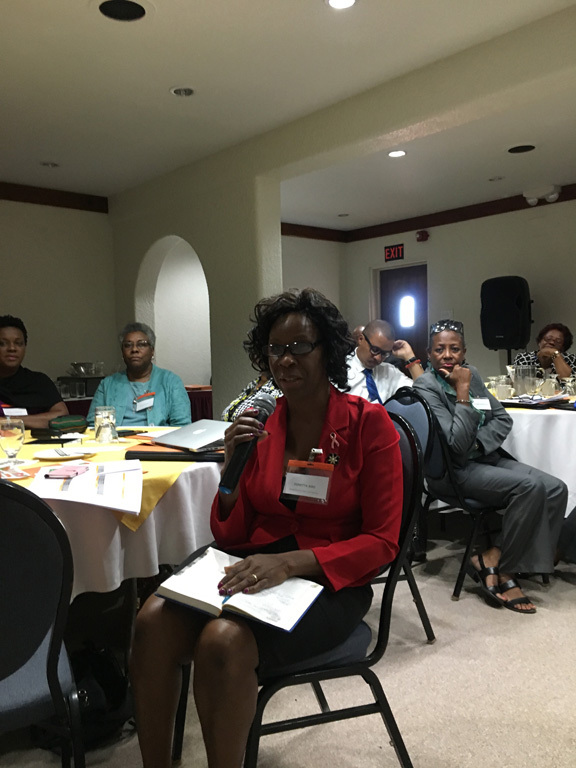 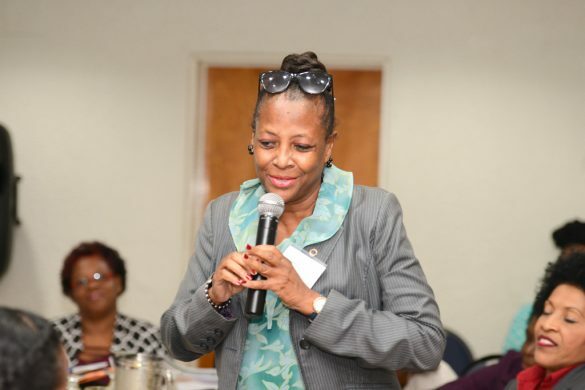 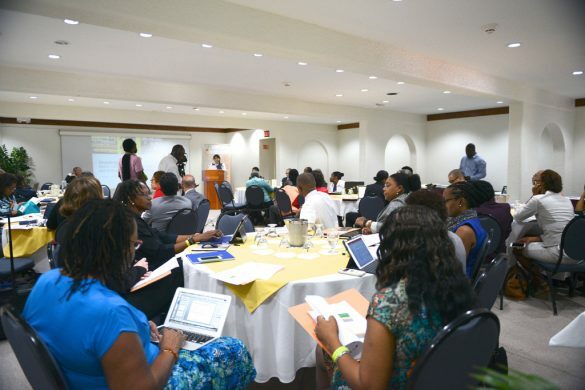 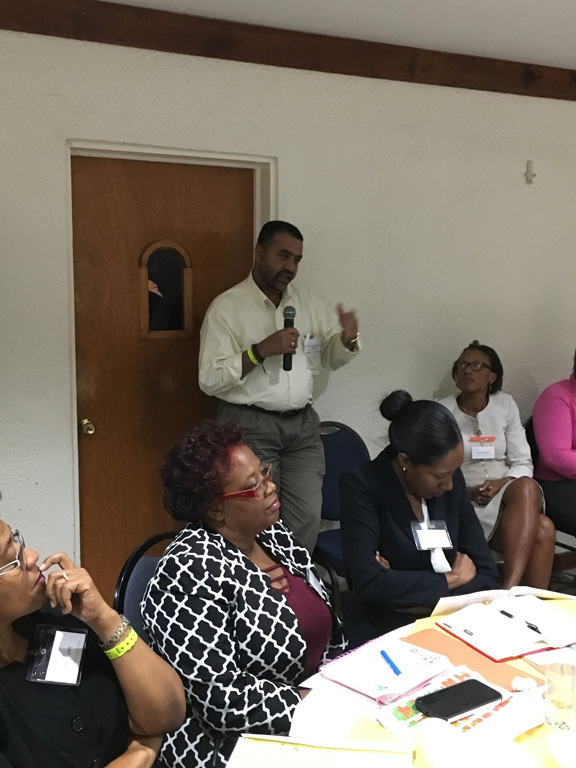 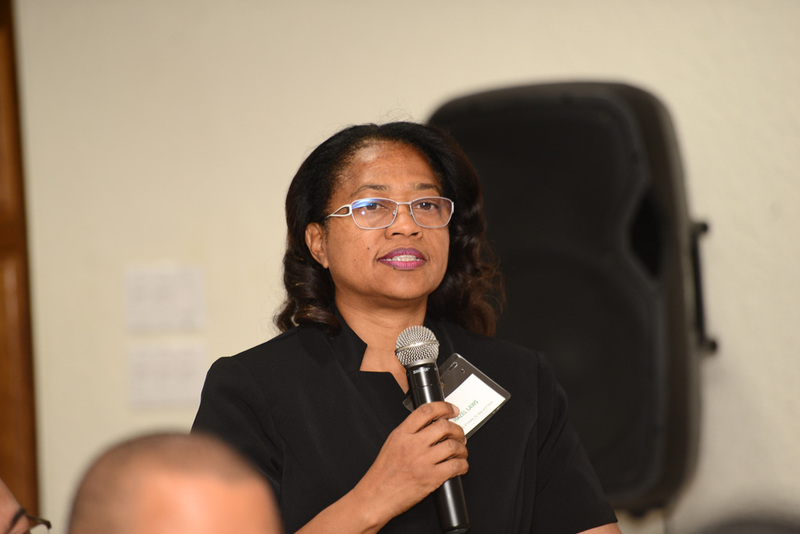 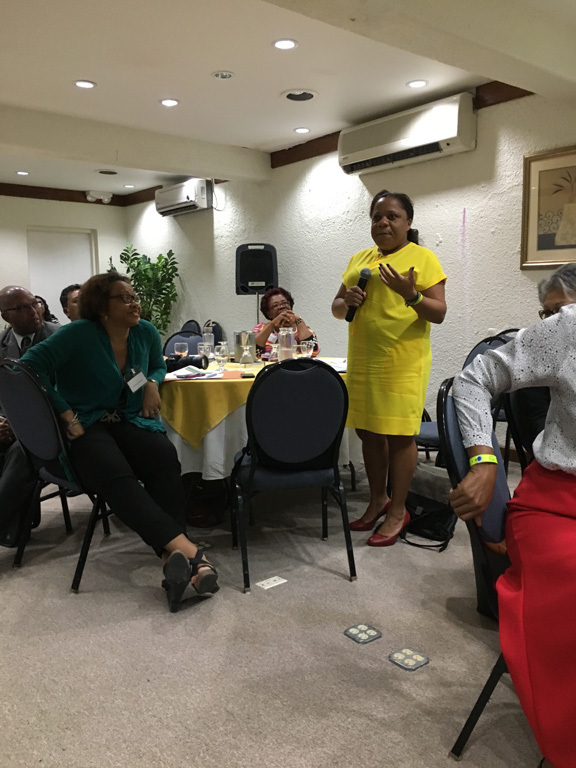 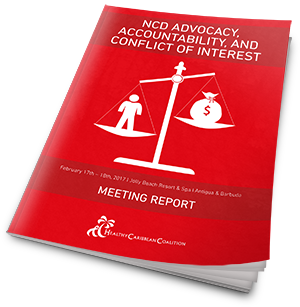 On Friday Feb 17, 2017, over 50 stakeholders from Civil Society, Government and the Private Sector met in Antigua and Barbuda for a one and a half day meeting to discuss NCD Advocacy, Accountability and conflict of Interest in the Caribbean. 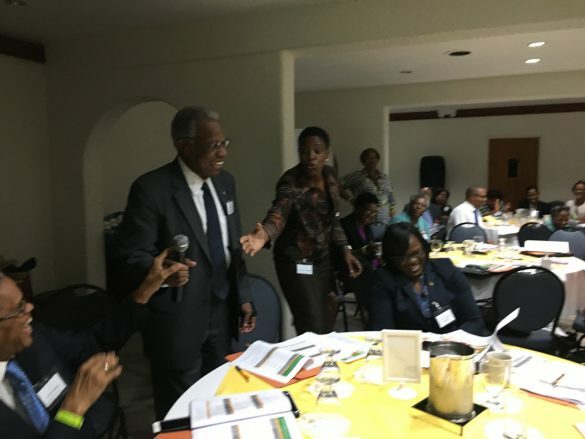 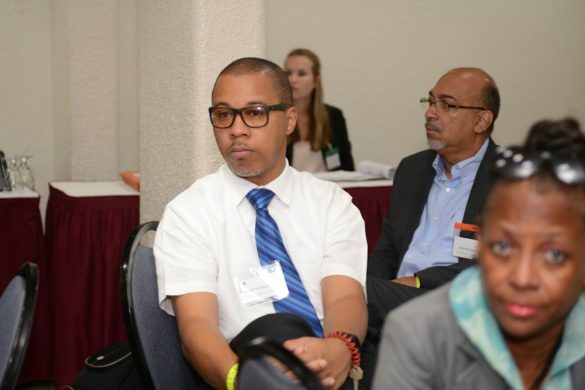 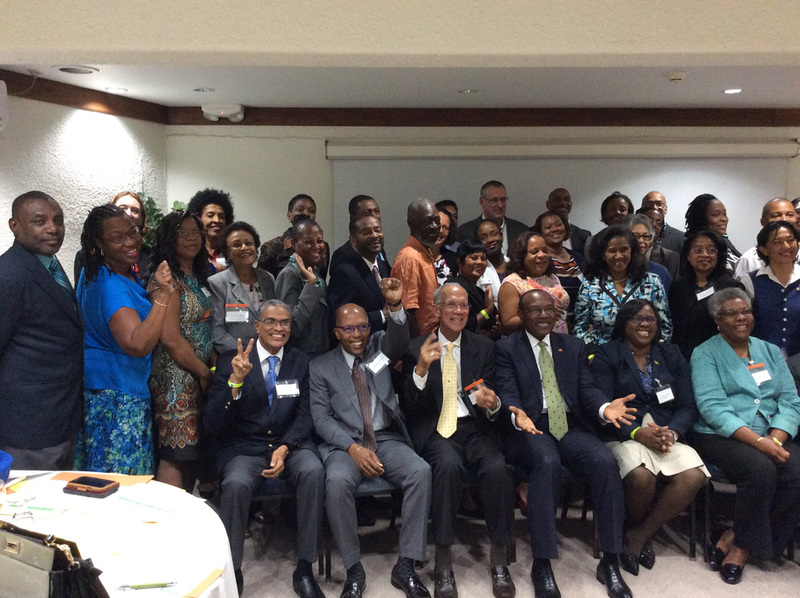 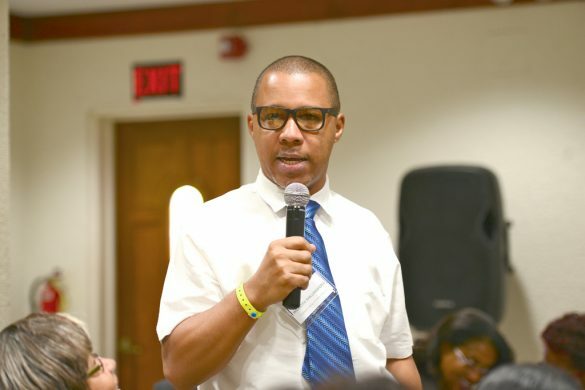 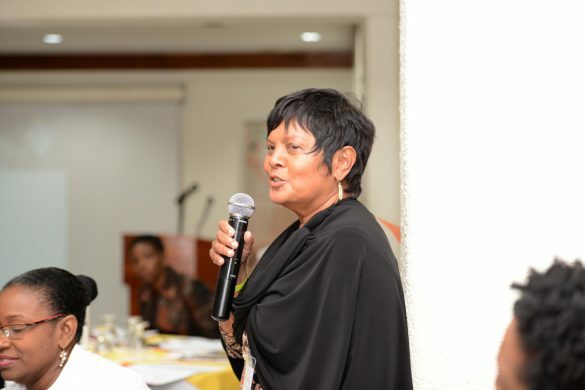 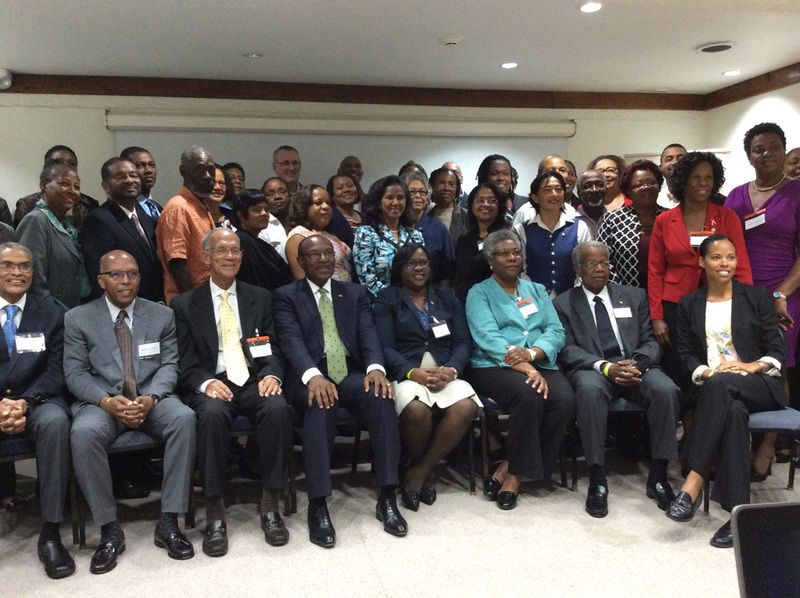 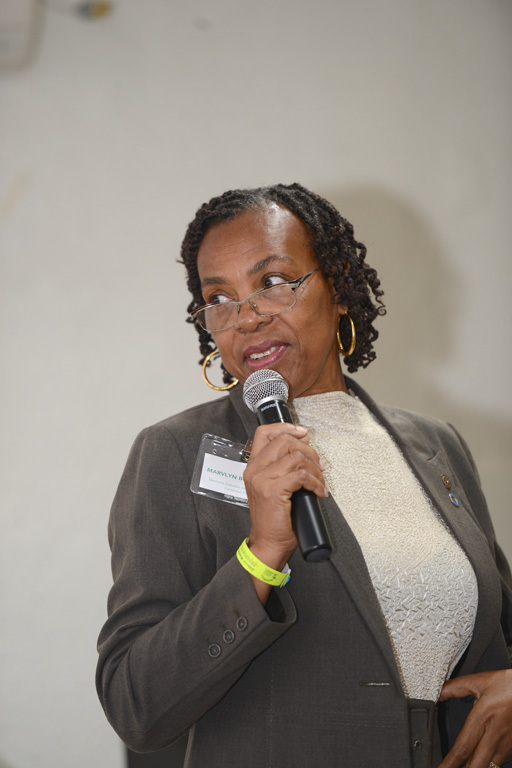 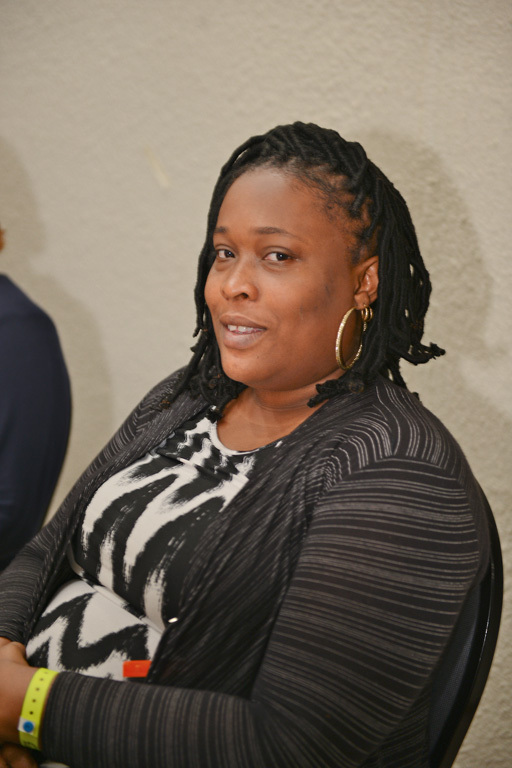 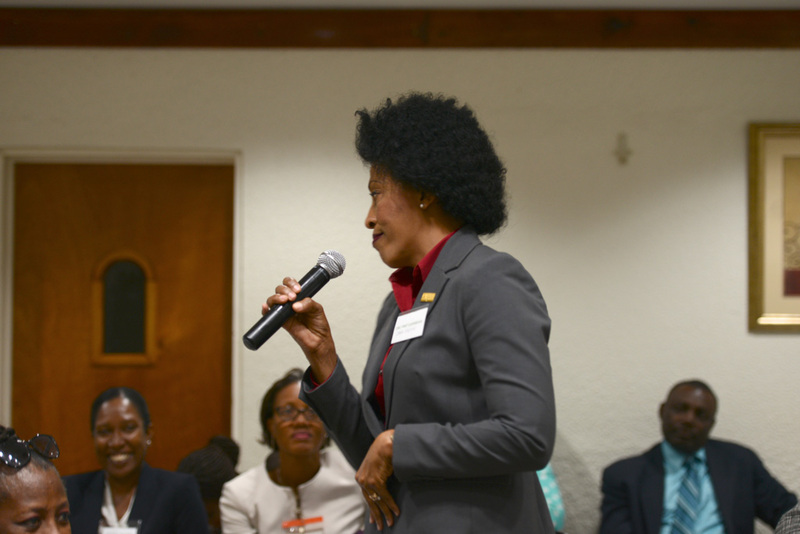 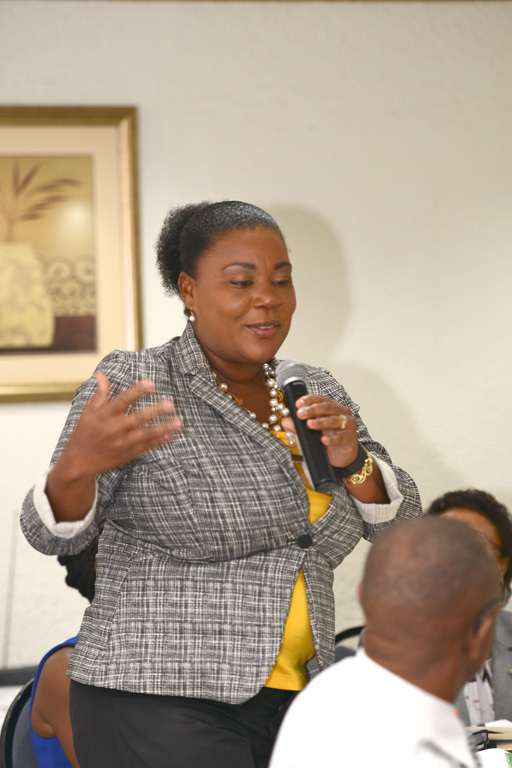 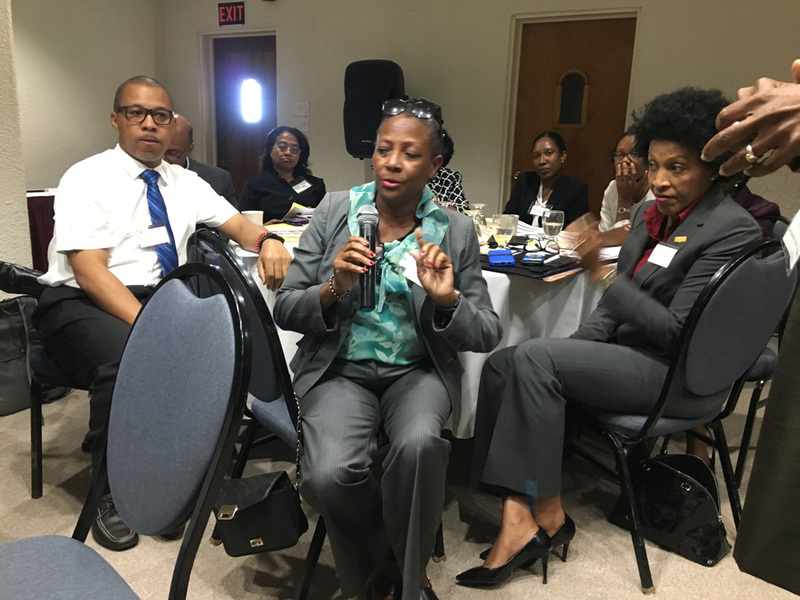 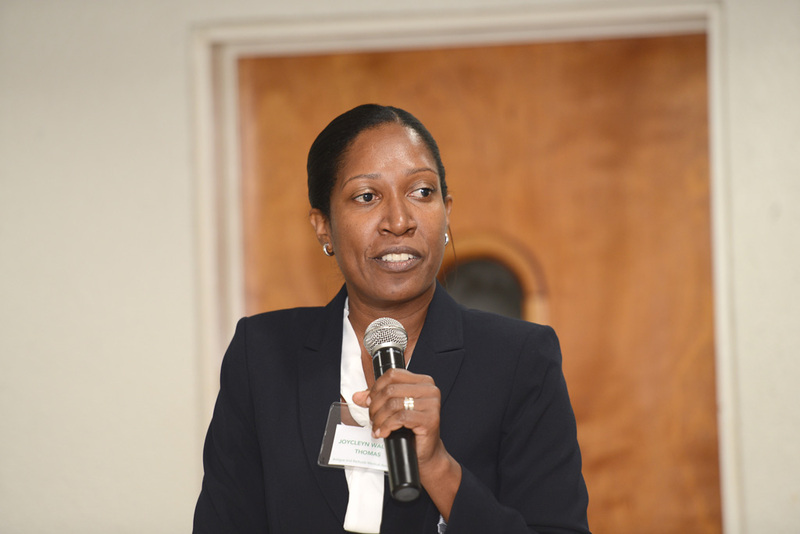 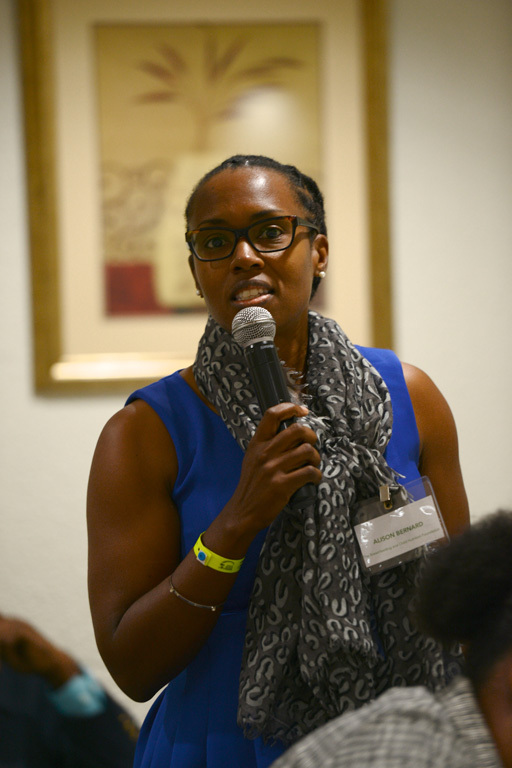 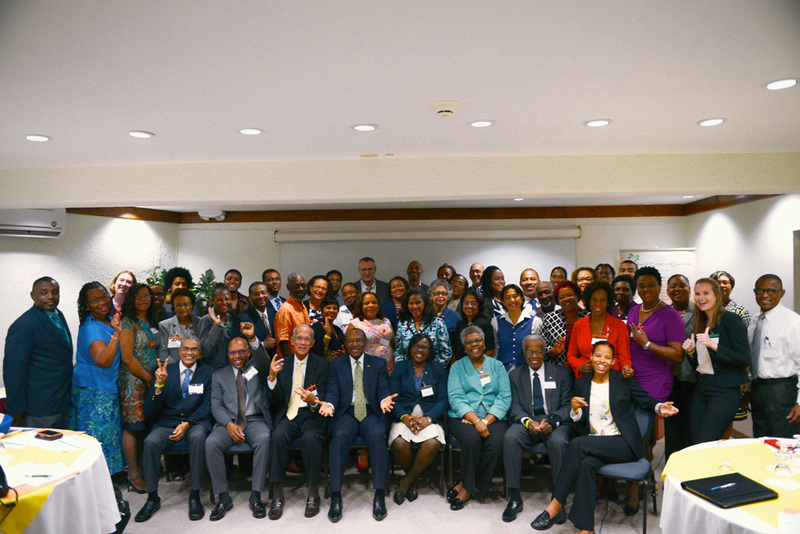 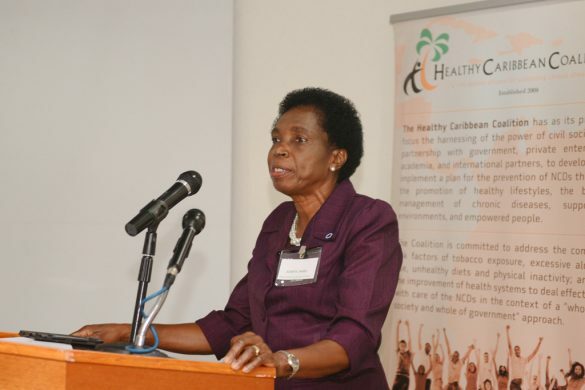 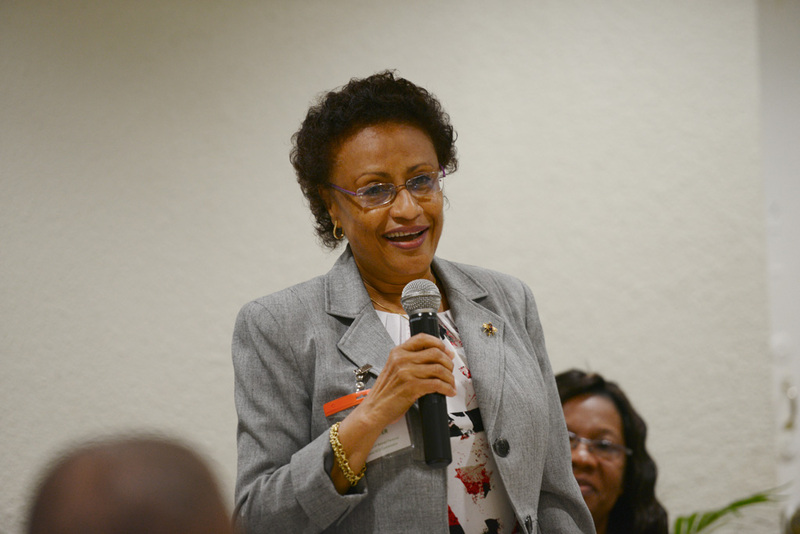 The meeting hosted by the Healthy Caribbean Coalition in partnership with the Antigua & Barbuda Ministry of Health and the Environment, had participants hailing from 11 Caribbean territories and representing all sectors of society including NCD NGOs, non health NGOs, medical associations, service clubs, private sector, academia, governments, and regional public health institutions. 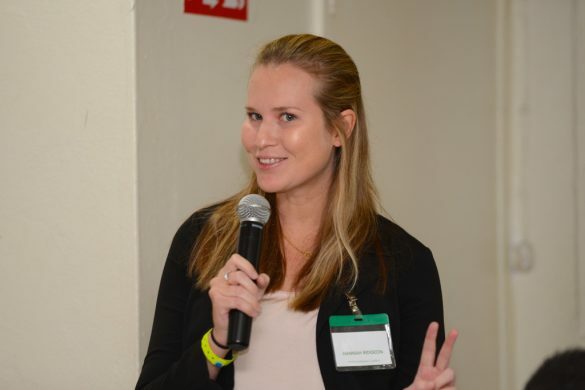 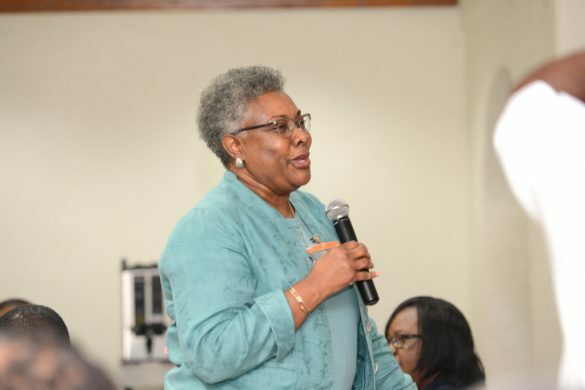 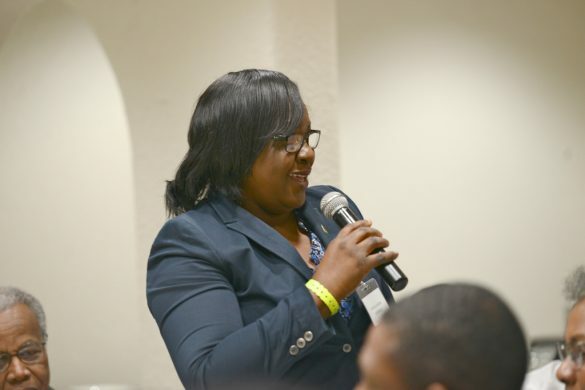 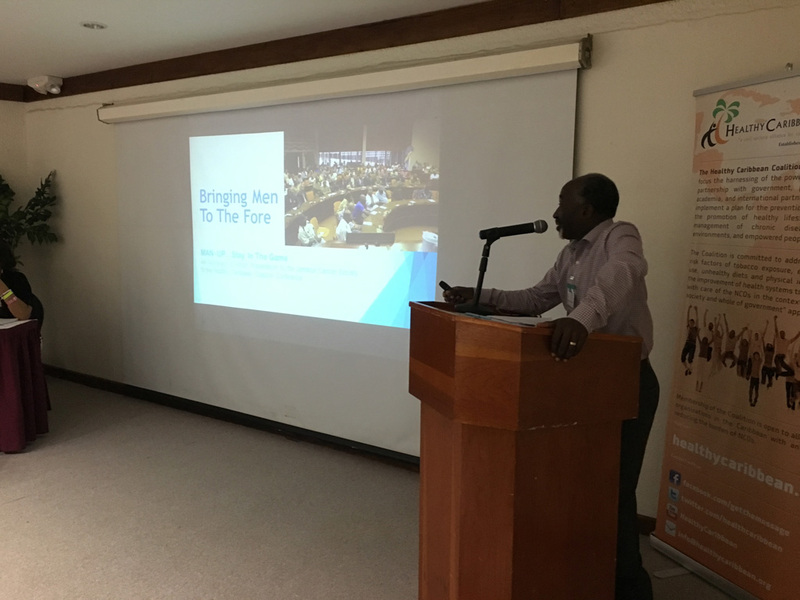 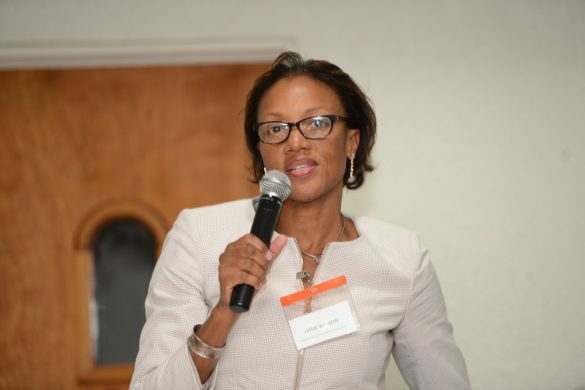 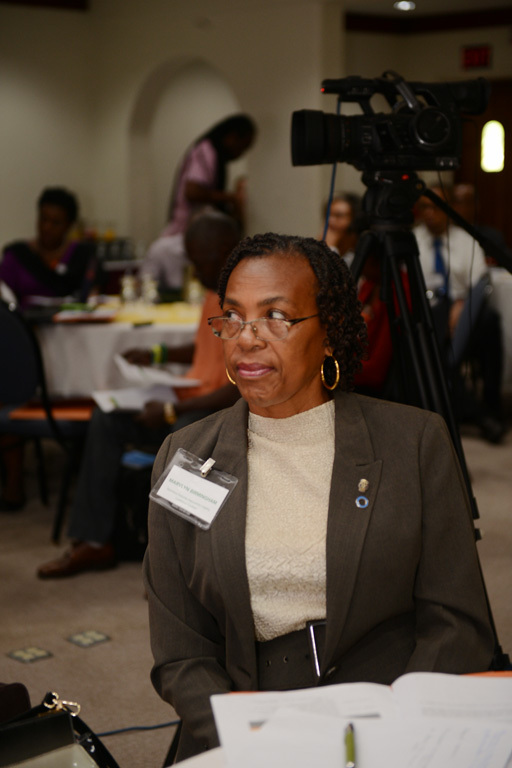 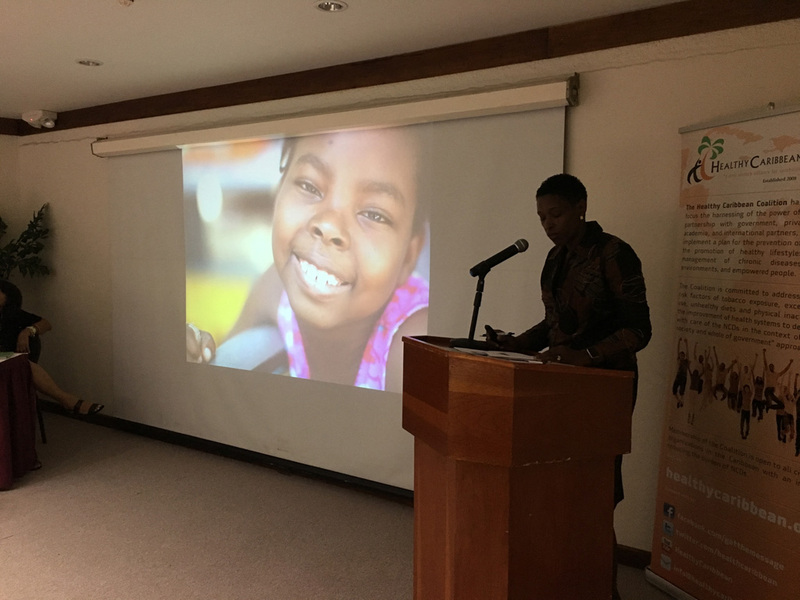 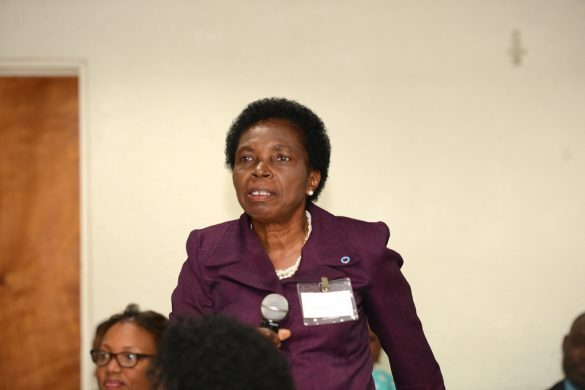 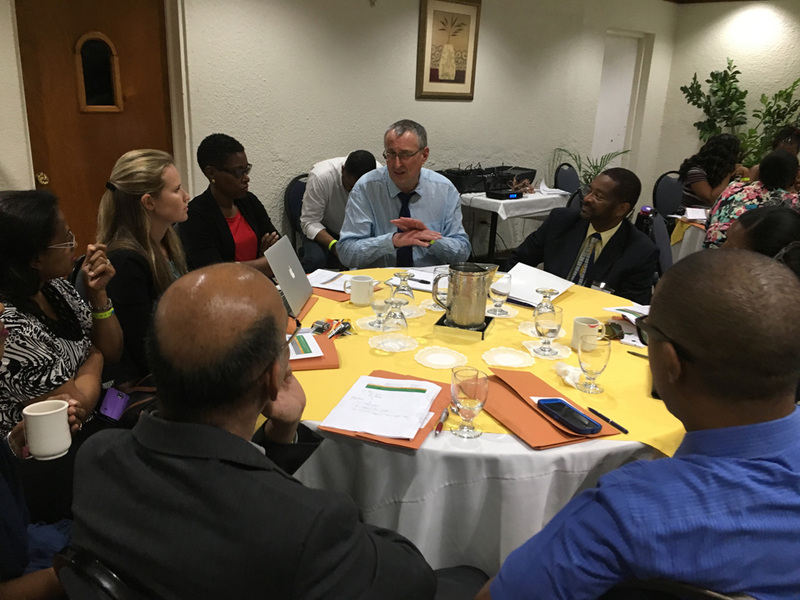 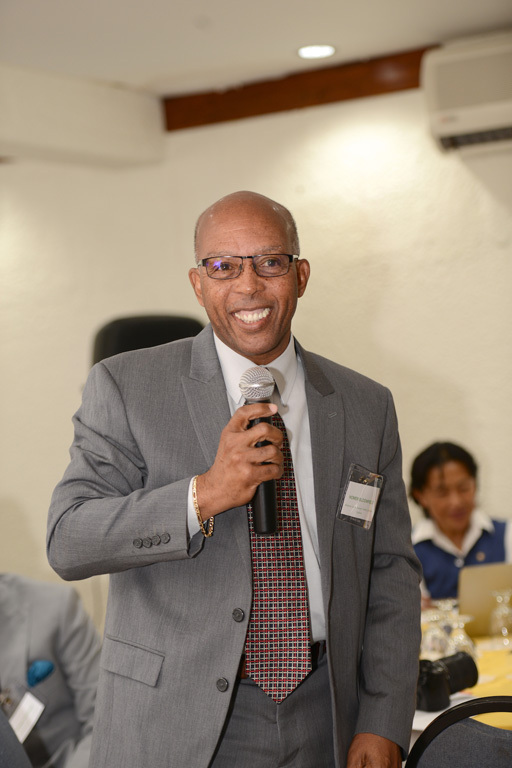 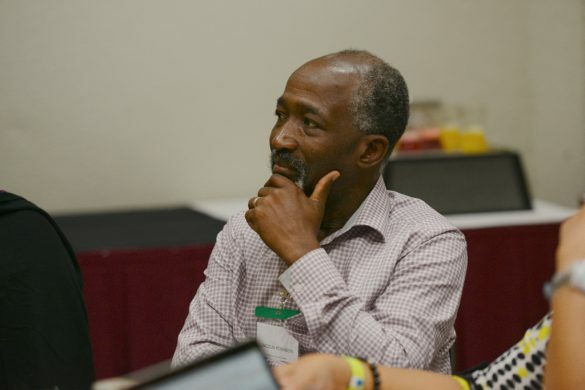 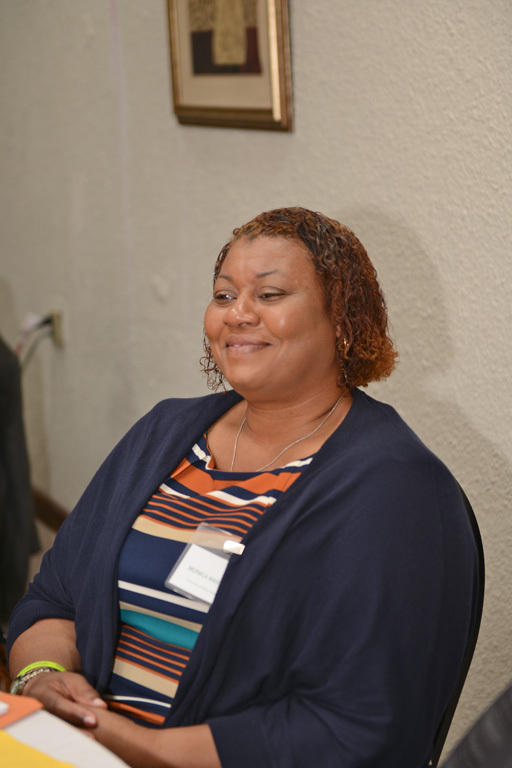 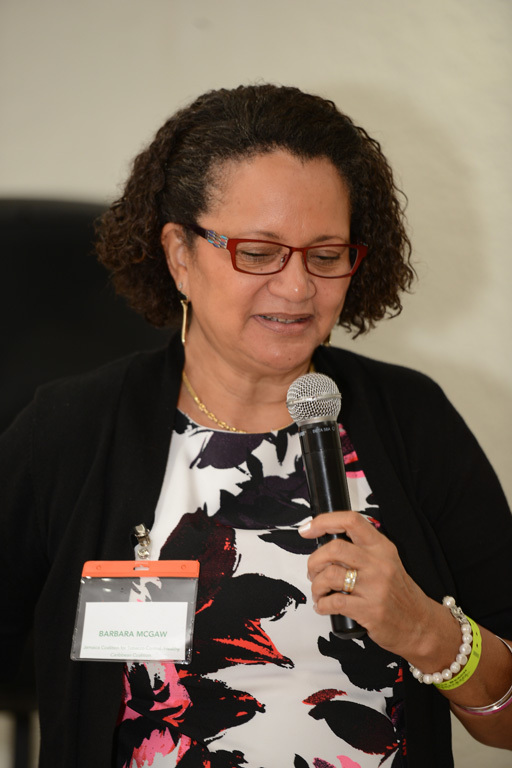 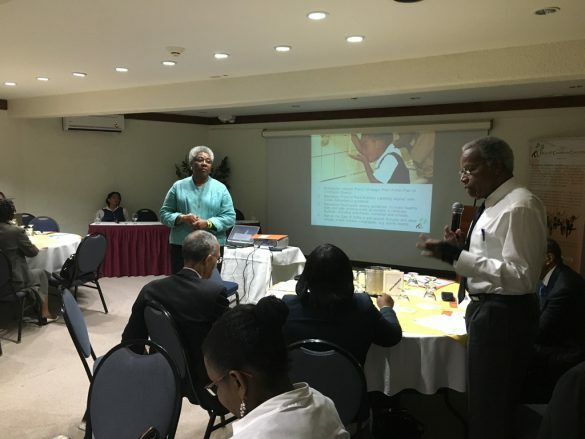 National and regional partners and supporters included: the Antigua & Barbuda Diabetes Association; the Antigua & Barbuda Medical Association; the American University of Antigua; the Peter Moores Foundation; the Open Campus of the University of the West Indies; CARPHA; and PAHO/WHO. 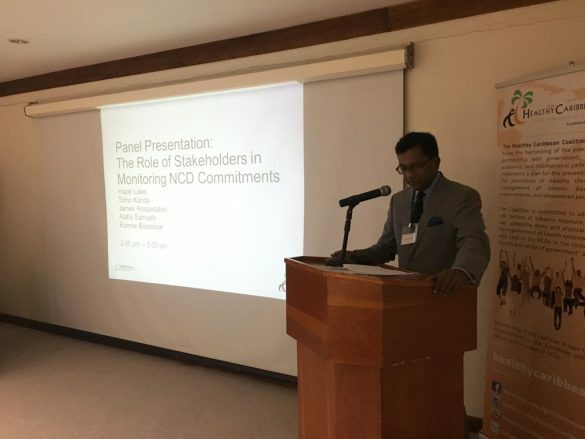 The meeting was supported by the NCD Alliance as part of the Expanding Access to Care, Supporting Global, regional and Country level NCD Action Programme in partnership with Medtronic Philanthropy. 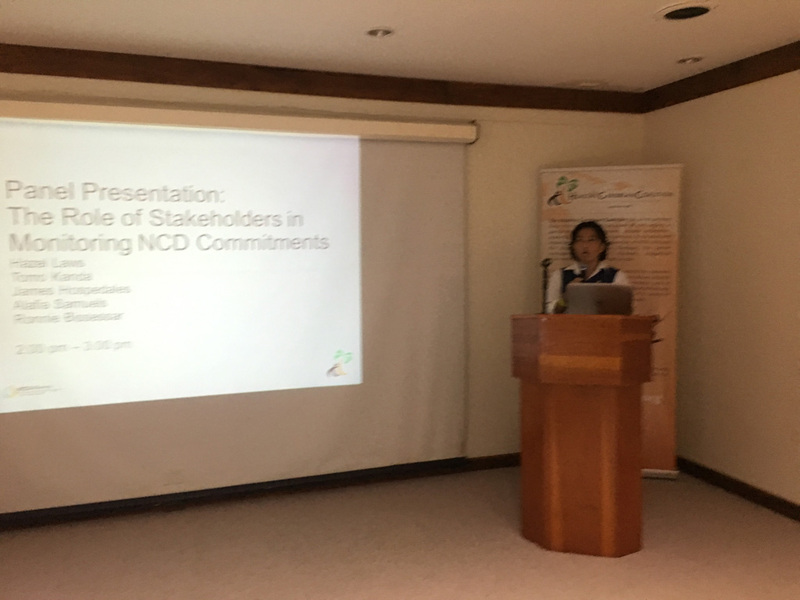 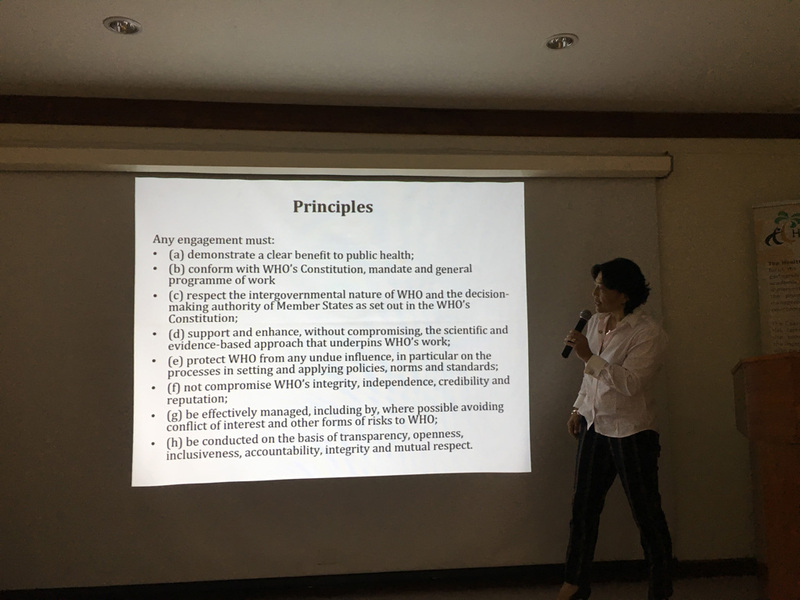 The goal of the meeting was to build civil society capacity around NCD advocacy, accountability and conflict of interest. 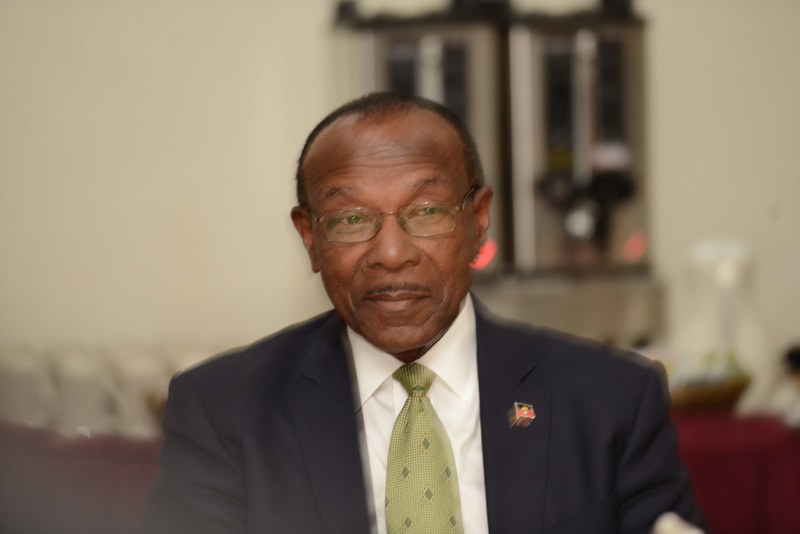 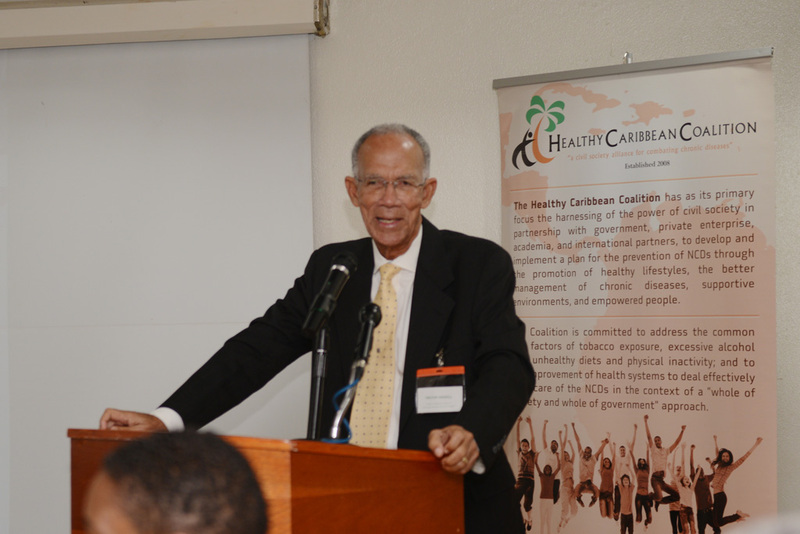 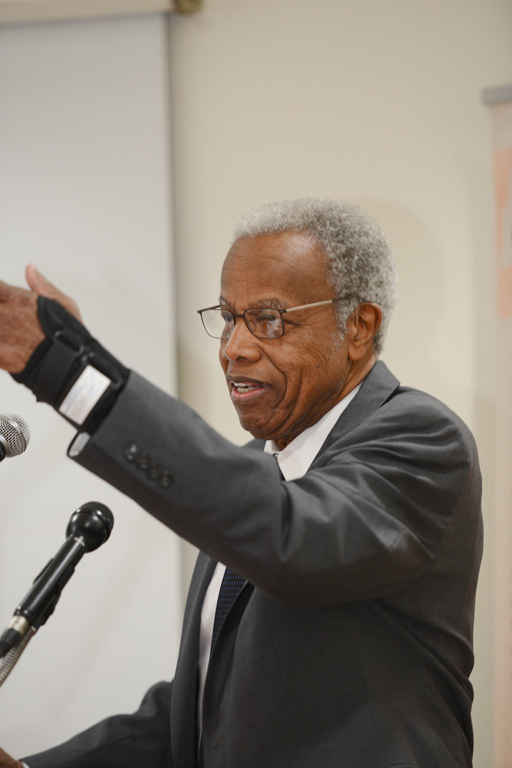 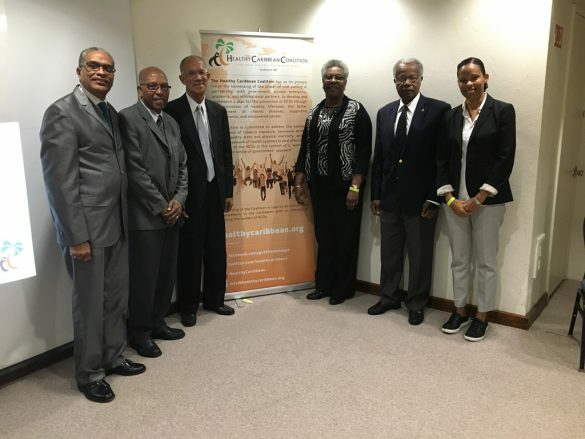 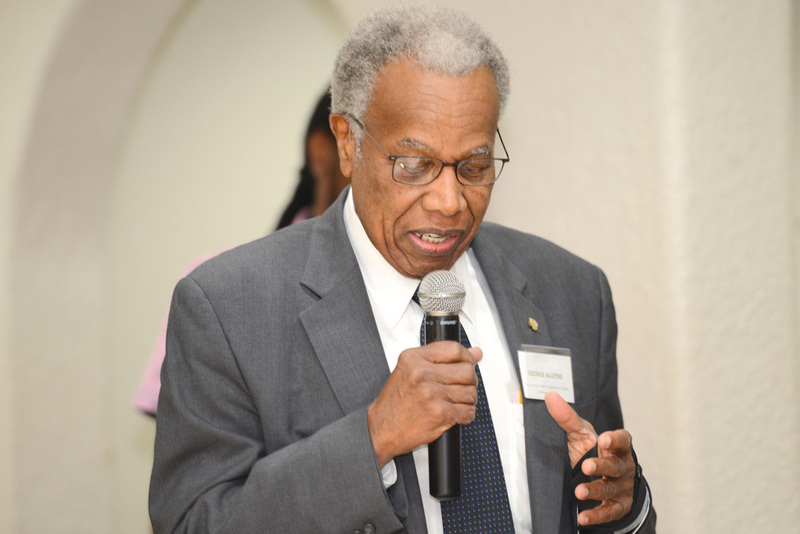 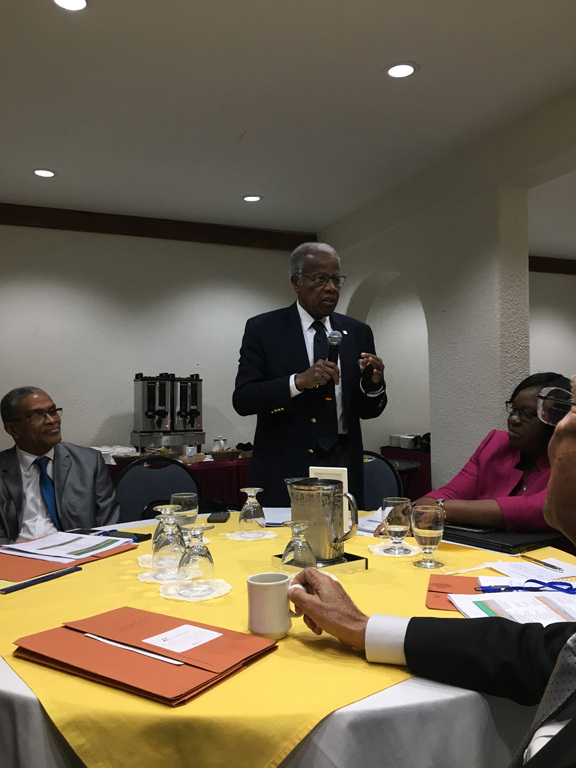 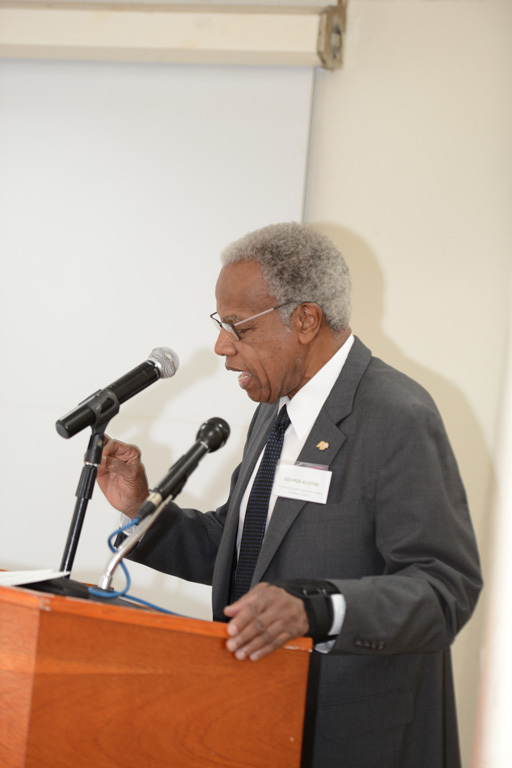 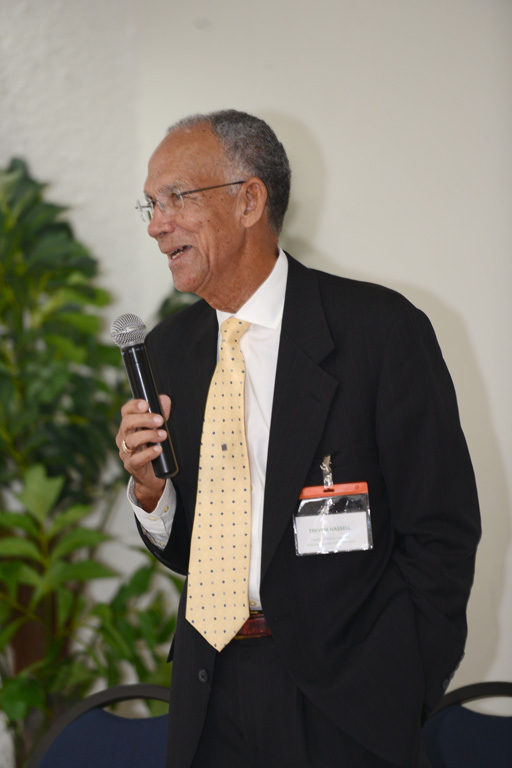 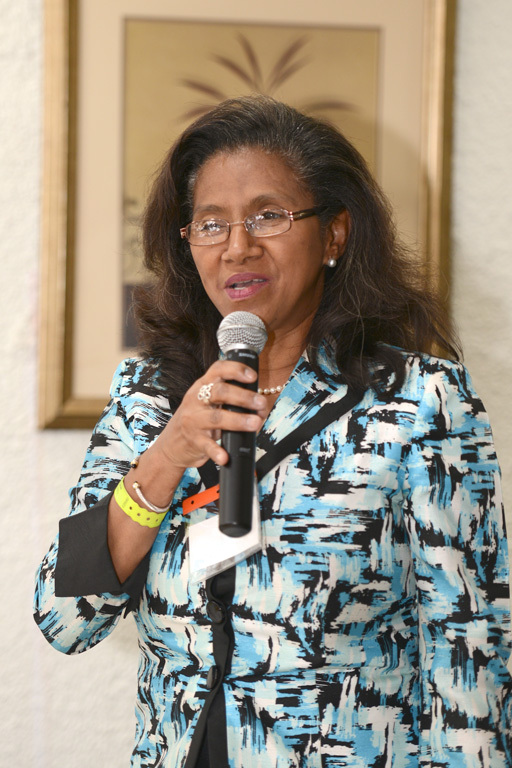 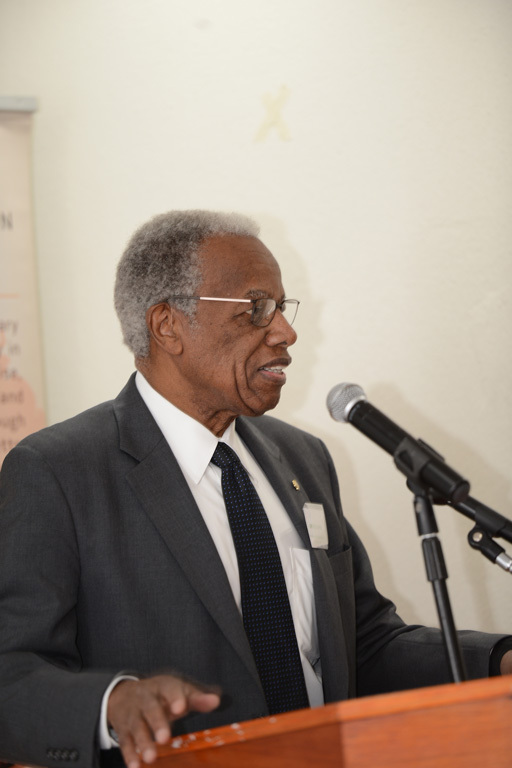 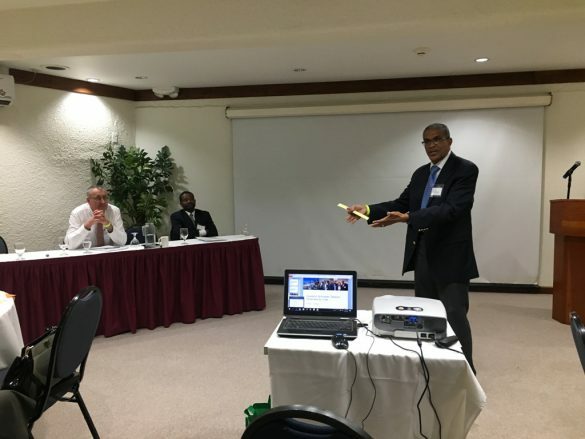 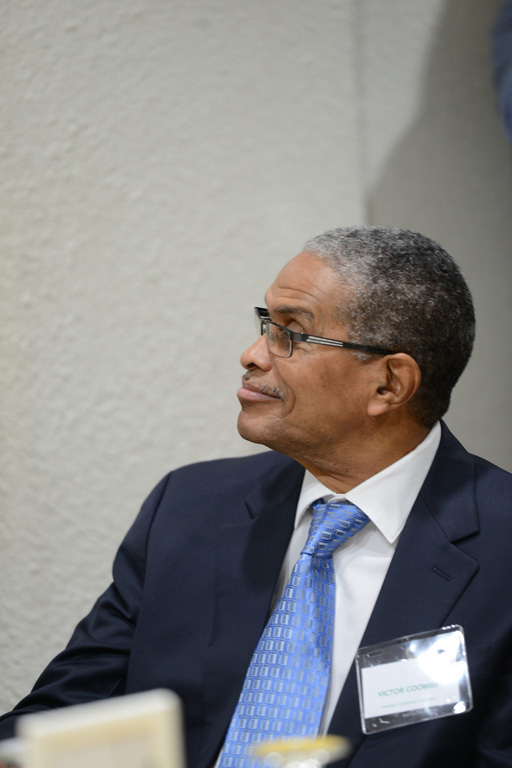 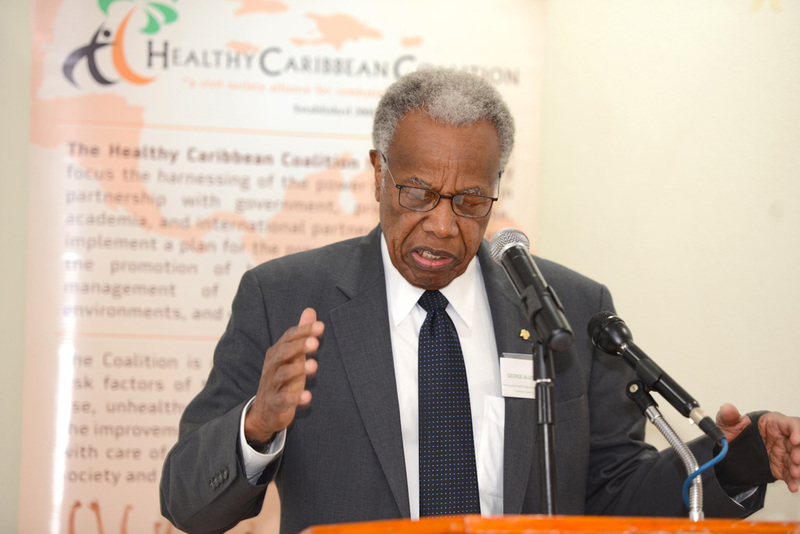 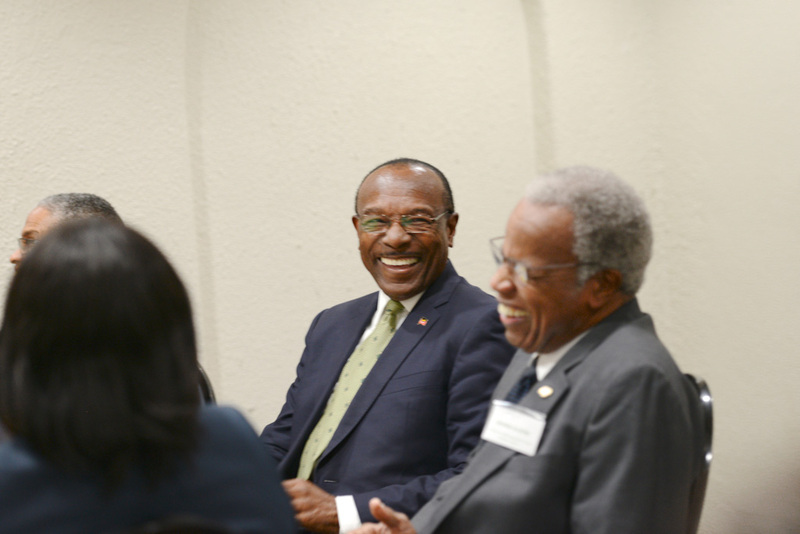 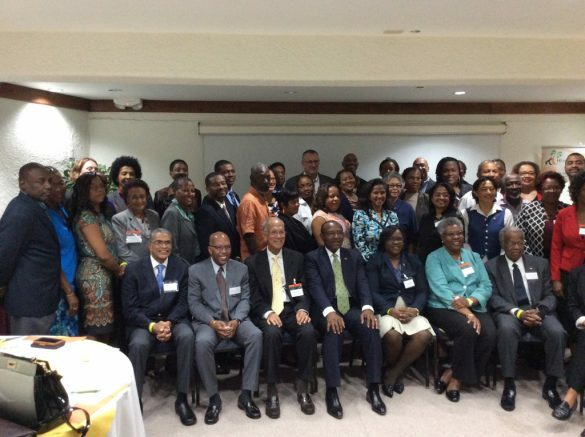 Speakers included the Hon Minister of Health Molwyn Joseph; Sir George Alleyne, Director Emeritus of PAHO and Patron of HCC; Dr. James Hospedales, Executive Director of PAHO; and Professor Jeff Collin, Professor of Global Health Policy, University of Edinburgh. 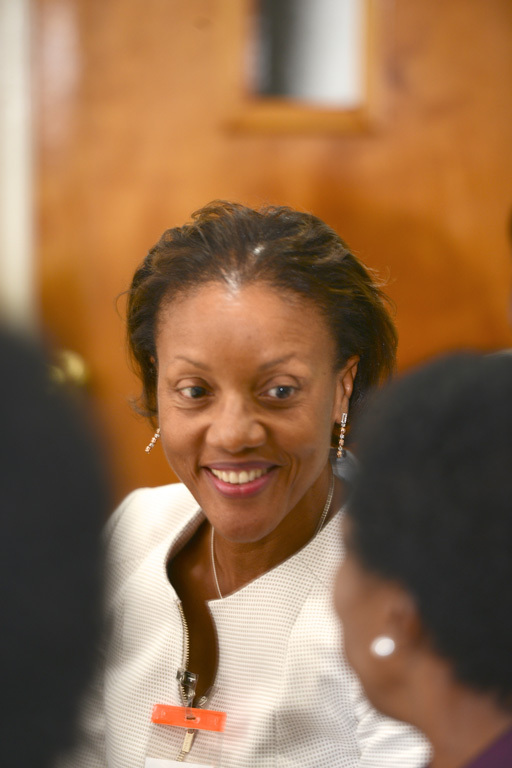 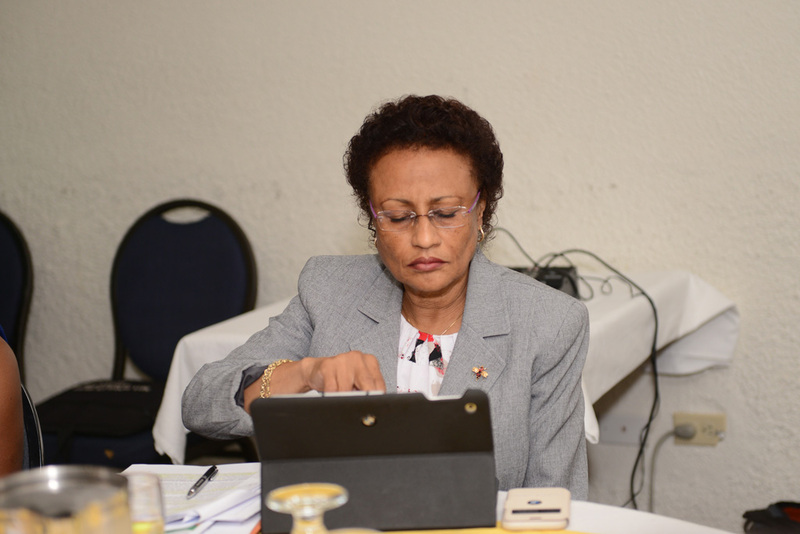 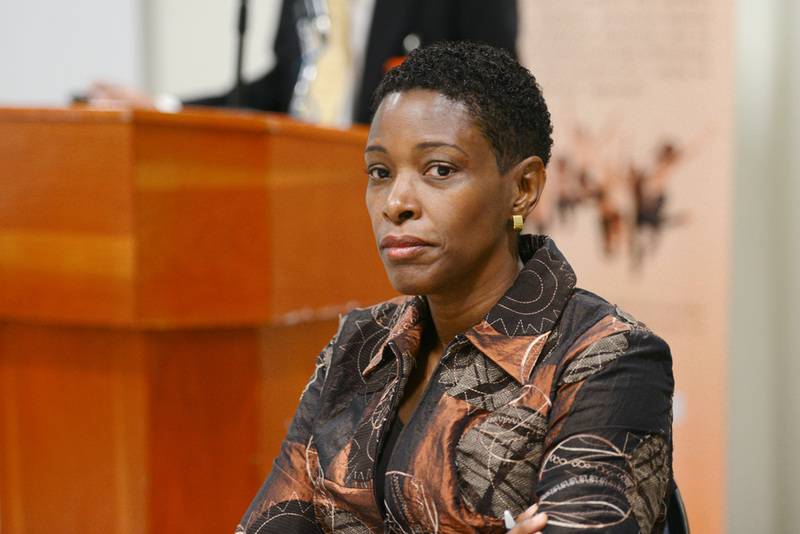 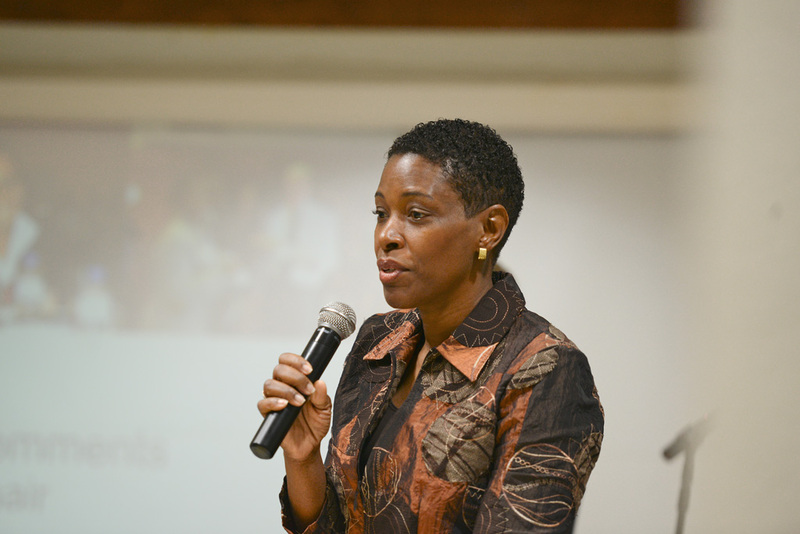 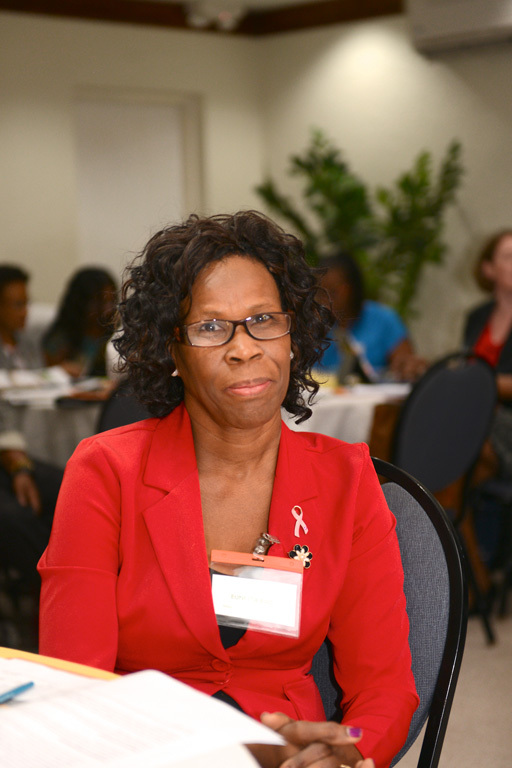 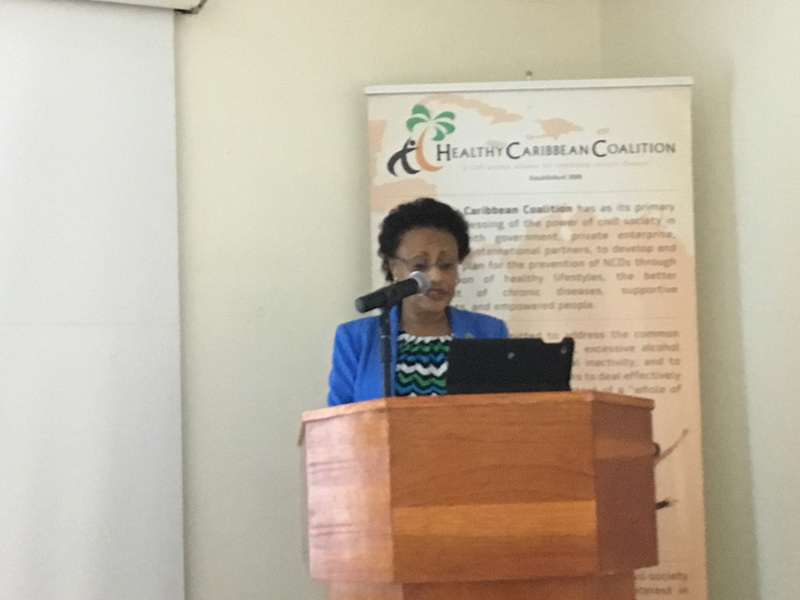 The HCC was also pleased to have present Dr. Karen Cummings, Minister in the Guyana Ministry of Public Health. 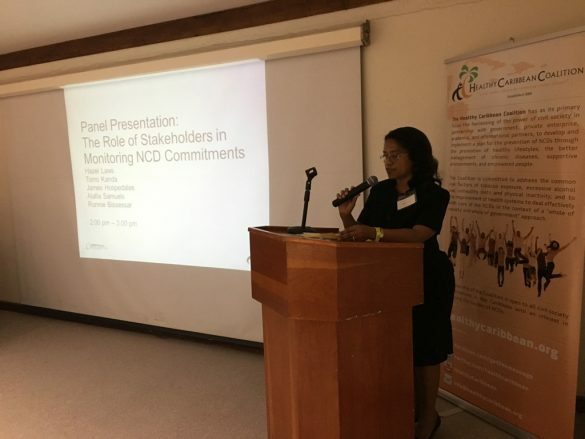 Significant outputs of the meeting included: sharing of experiences around advocacy, accountability and COI in the region from the perspective of various stakeholders; review of a draft CSO Simple Monitoring Scorecard for Childhood Obesity; review of a draft Regional CSO Advocacy campaign to ban sugar sweetened beverages (SSBs) in schools; development of a concept for an HCC COI Policy; and the launch of the HCC Strategic Plan 2017-2021. 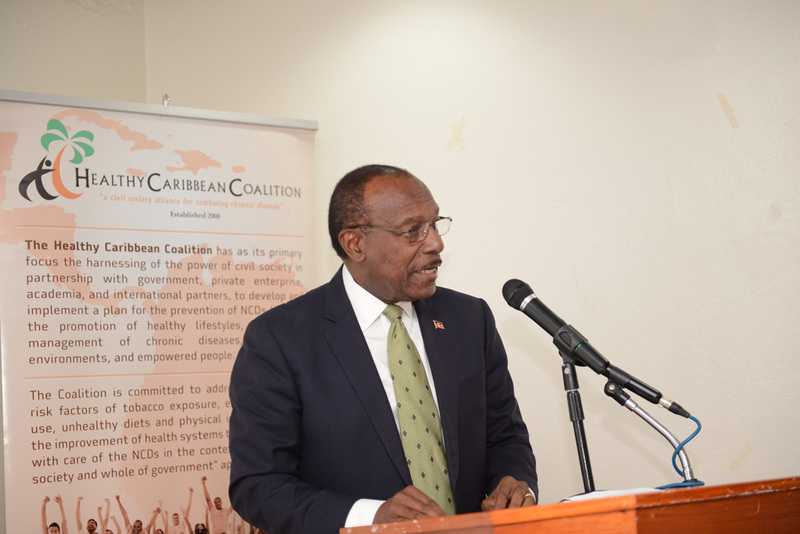 The HCC was honoured to have the Minister of Health of Antigua and Barbuda officially open the meeting with his inspirational words which called for ‘unity of purpose, among Caribbean governments, civil society alliances such as HCC, the private sector, other non-governmental organisations, mass media and private individuals from every sector and profession in the region’ as we collectively seek to address NCDs. 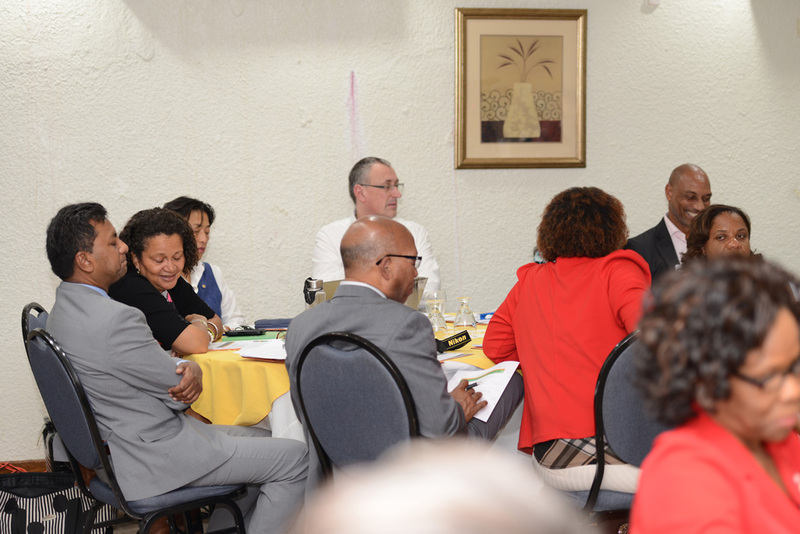 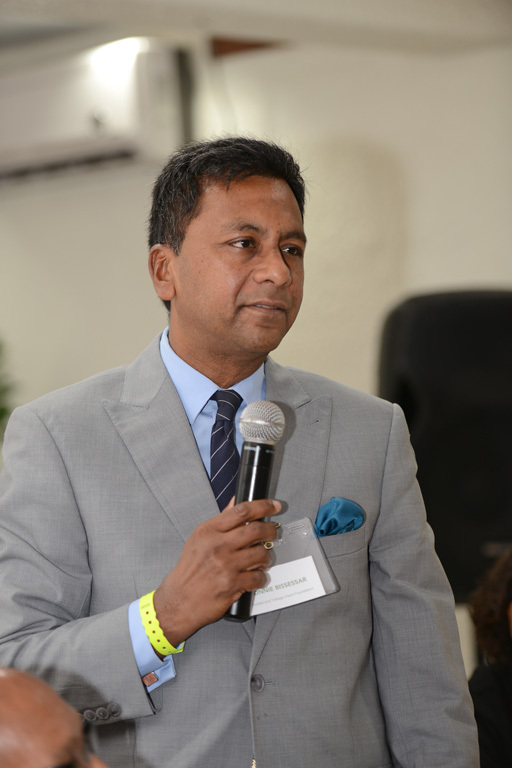 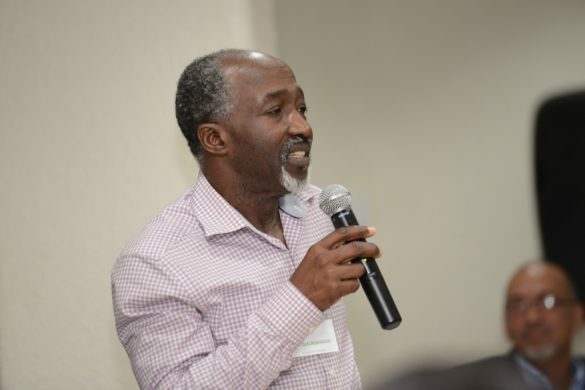 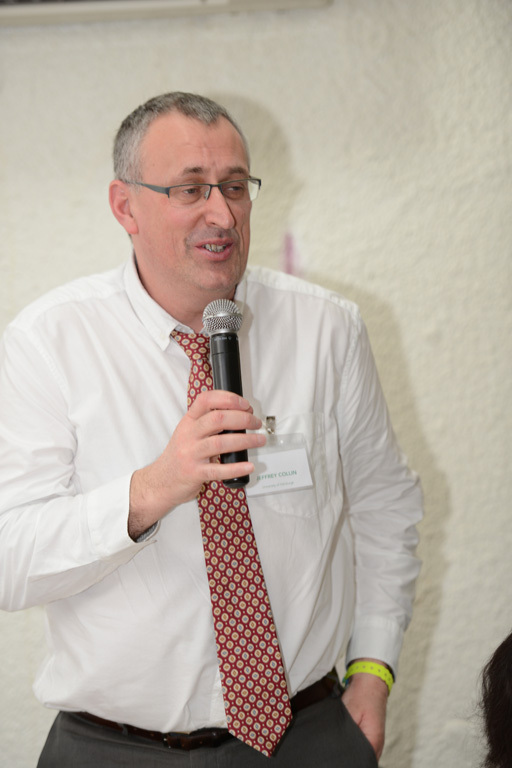 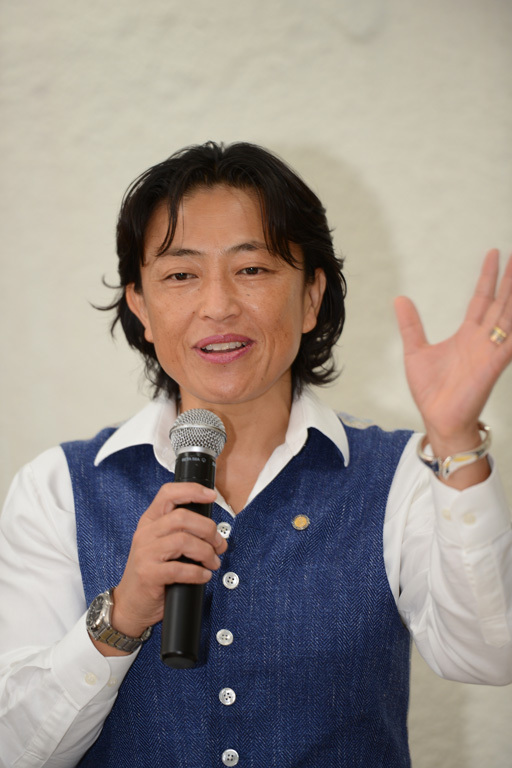 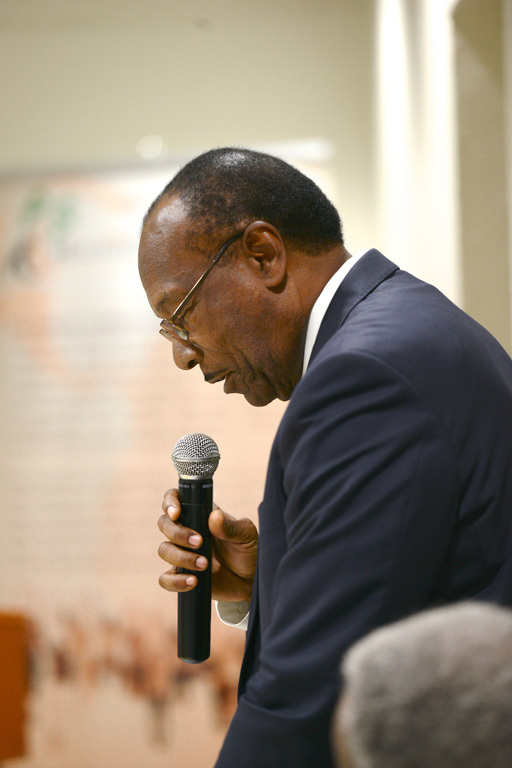 He further called on civil society advocates to be ‘bold and creative … consistent and relentless’. 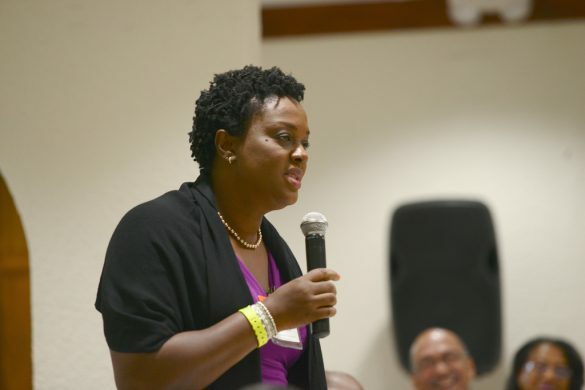 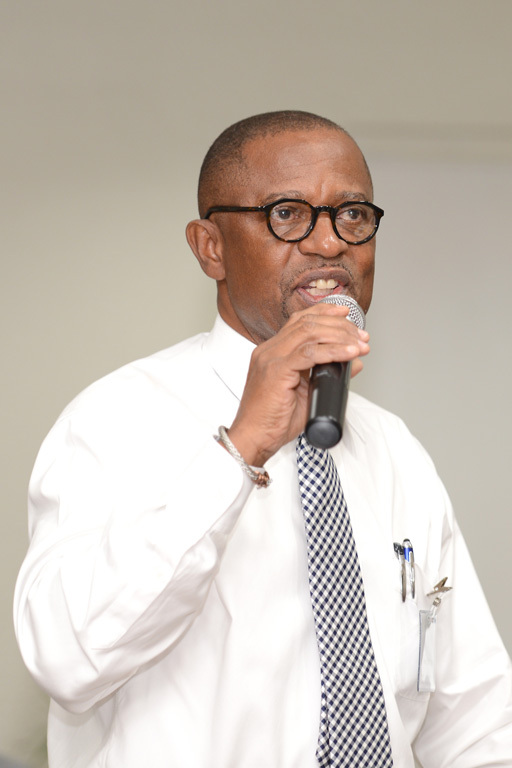 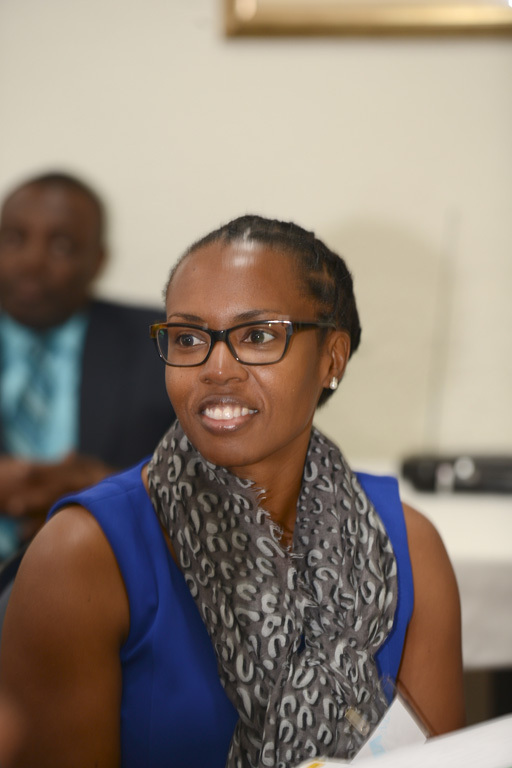 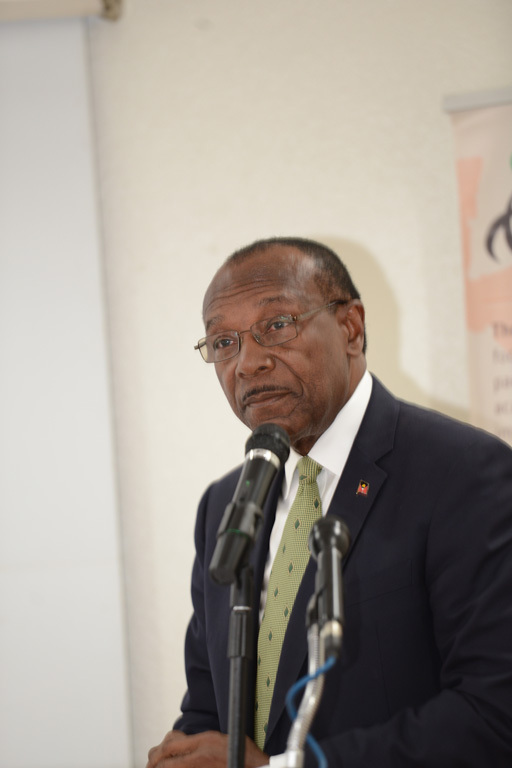 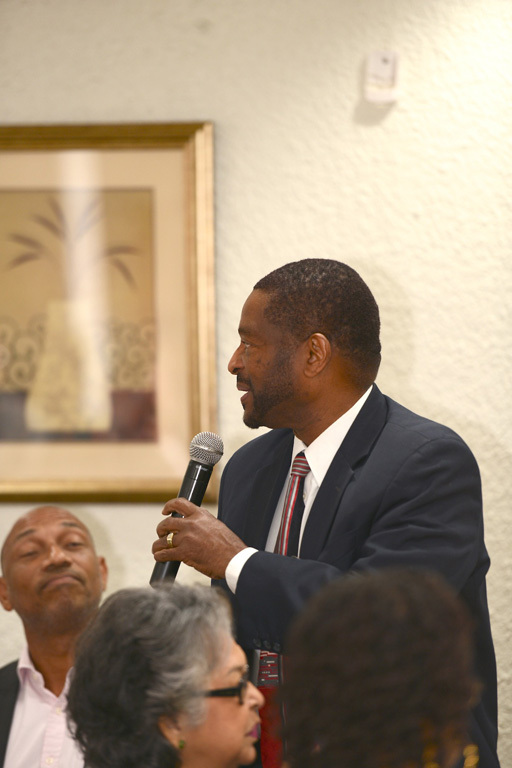 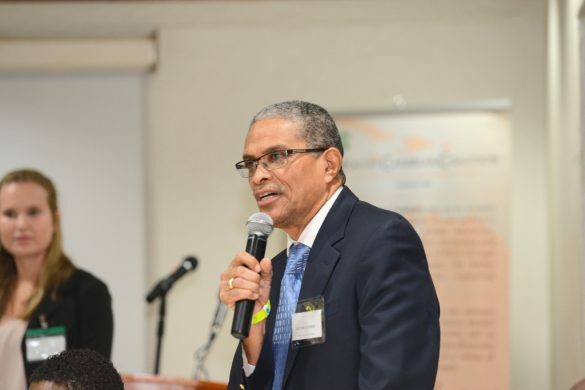 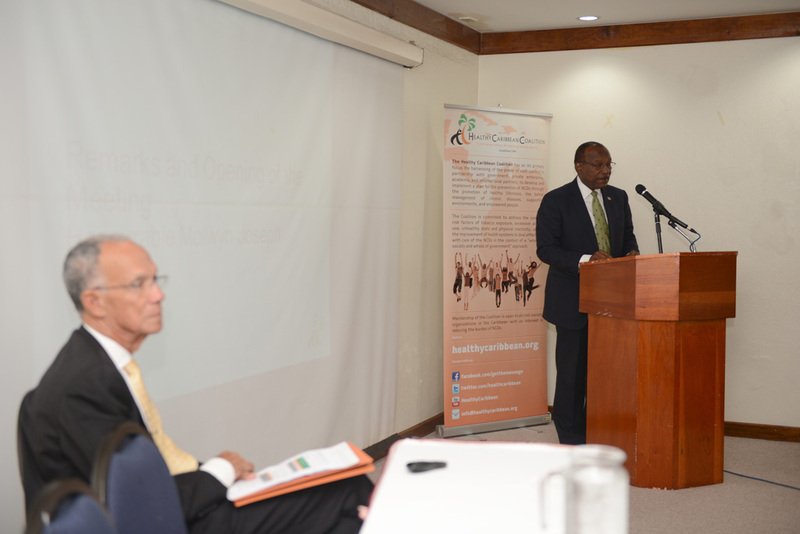 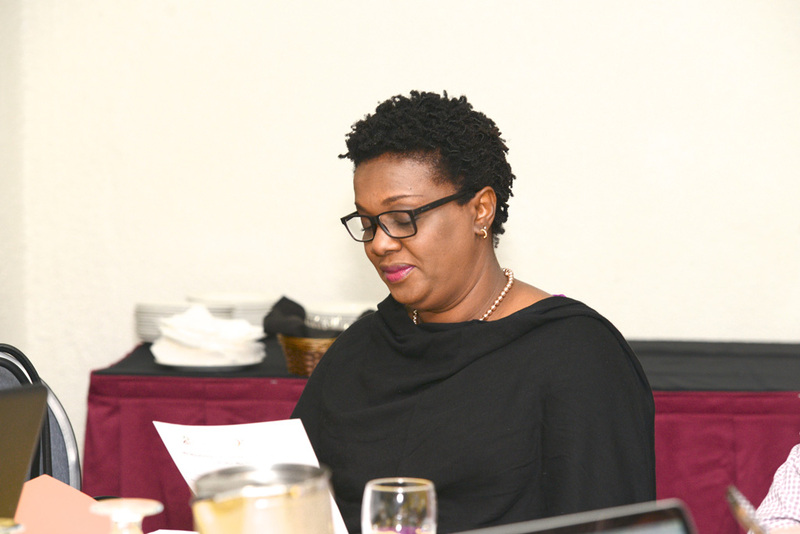 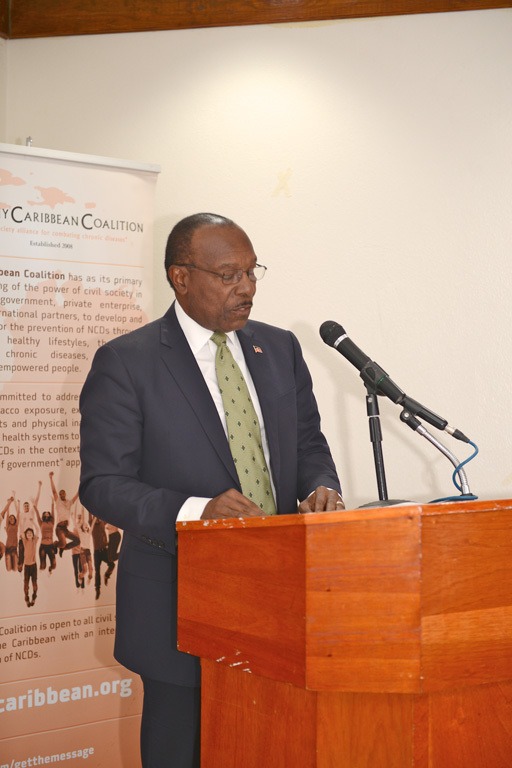 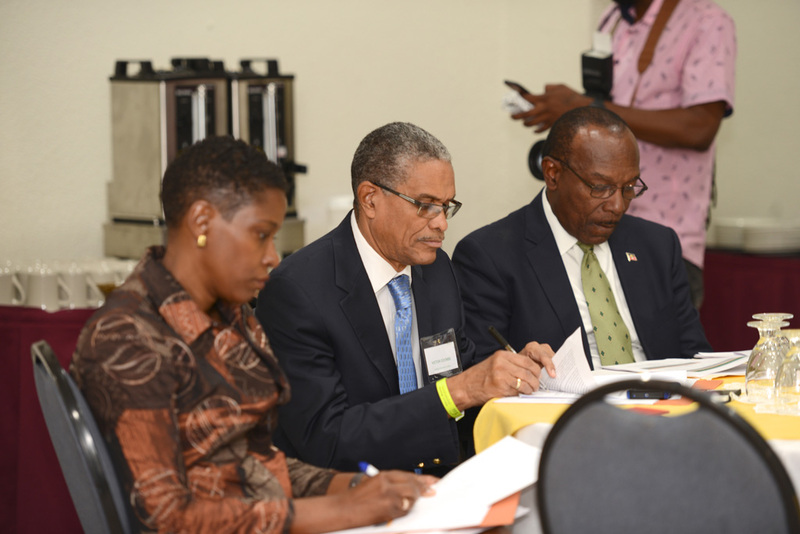 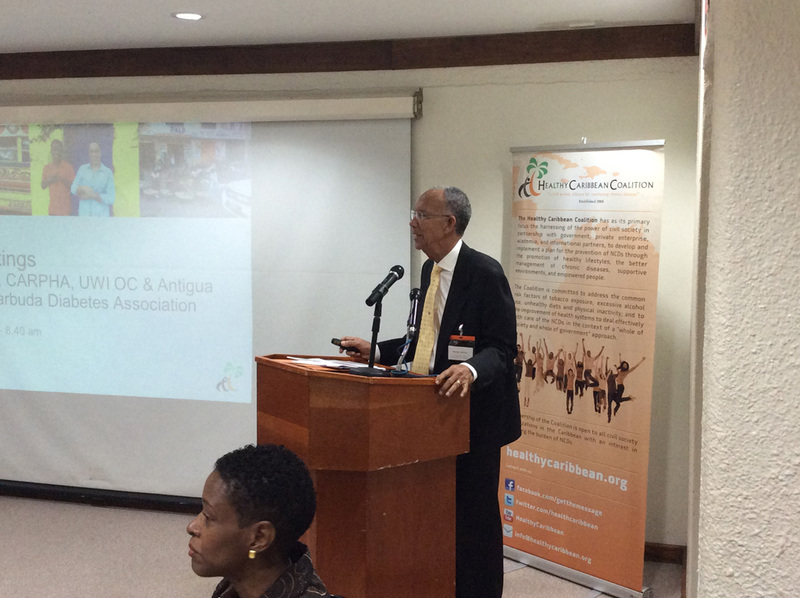 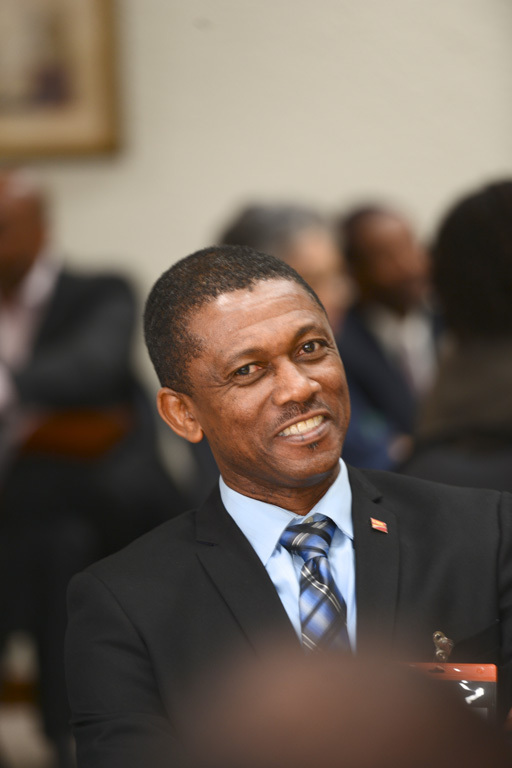 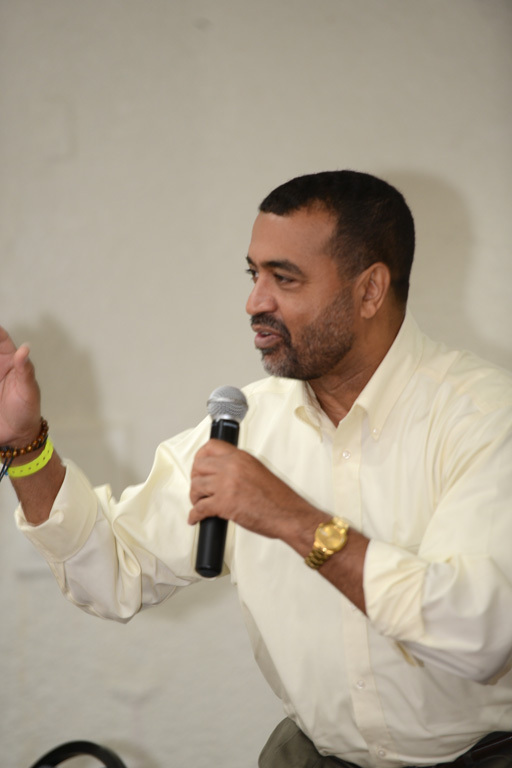 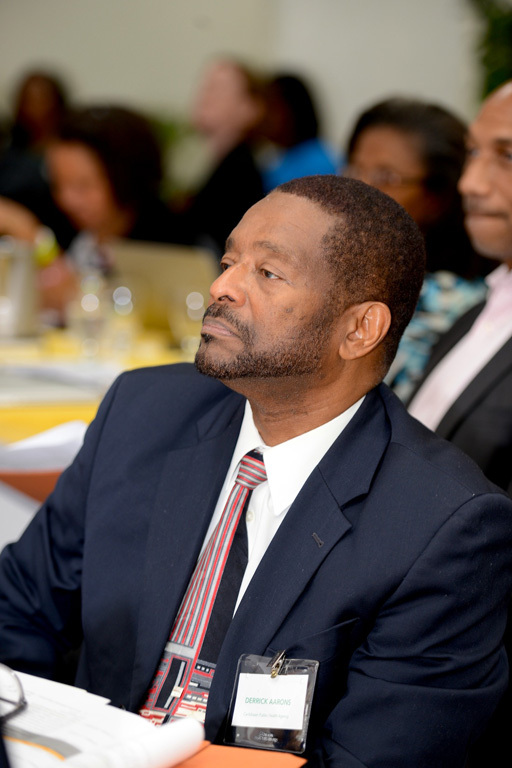 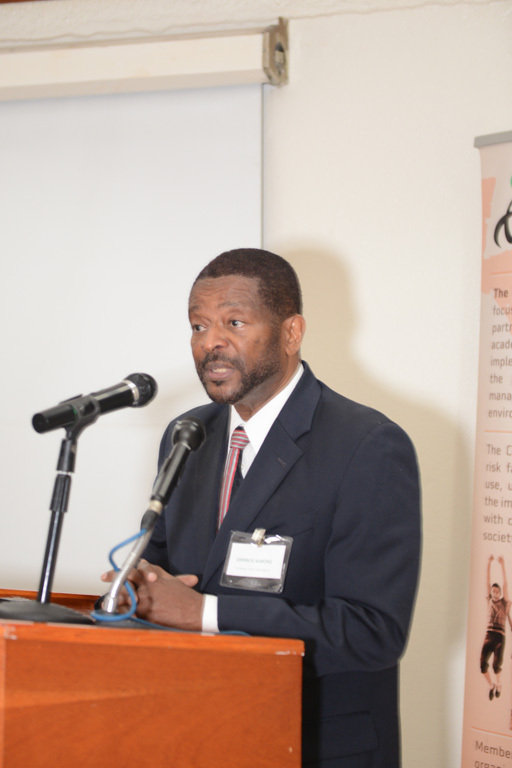 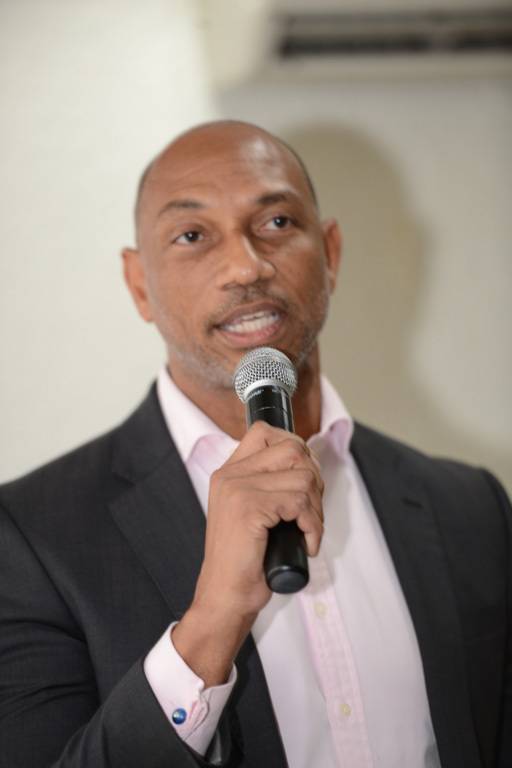 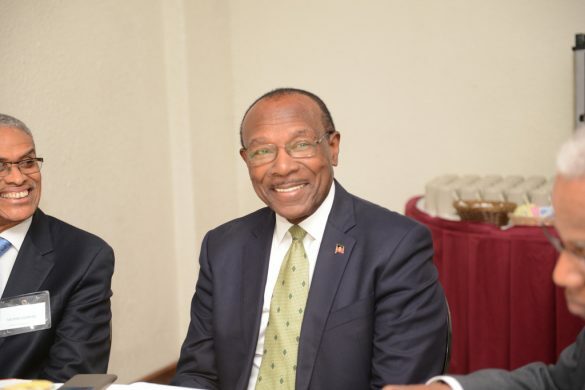 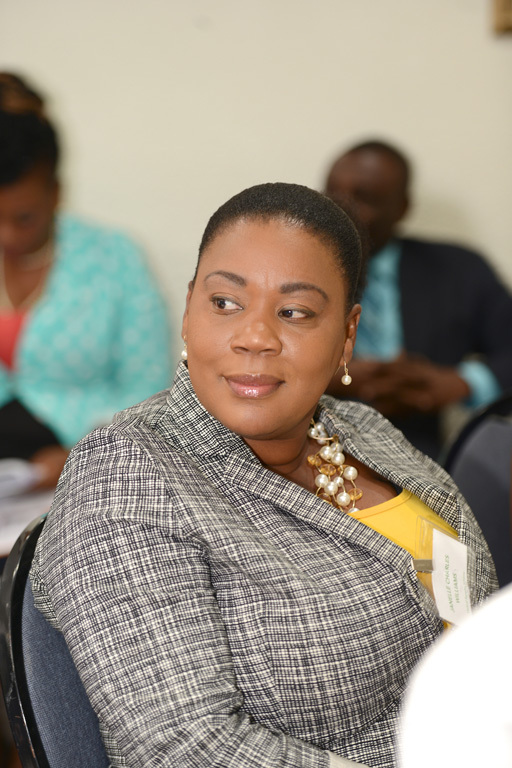 Minister Joseph used the occasion to announce the formation of the Antigua and Barbuda Wellness Commission. 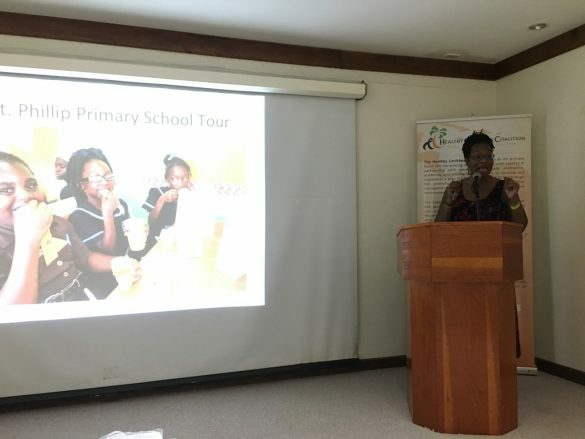 The meeting provided a forum for CSOs to share experiences of advocacy ranging from tobacco control, engaging men around cancer prevention, SSB taxation and sharing a regional campaign for banning SSBs in schools. 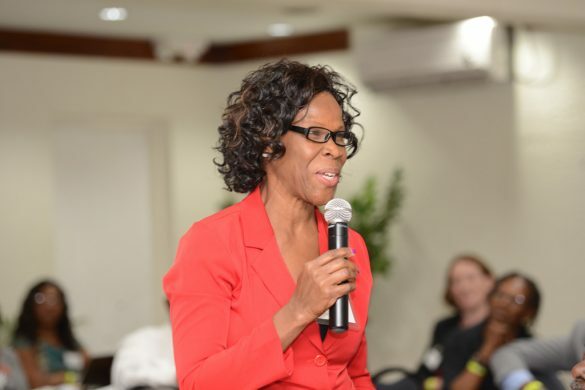 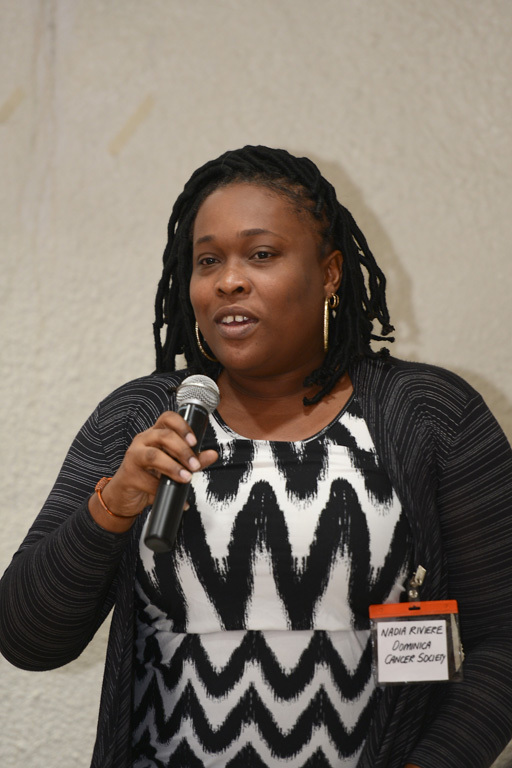 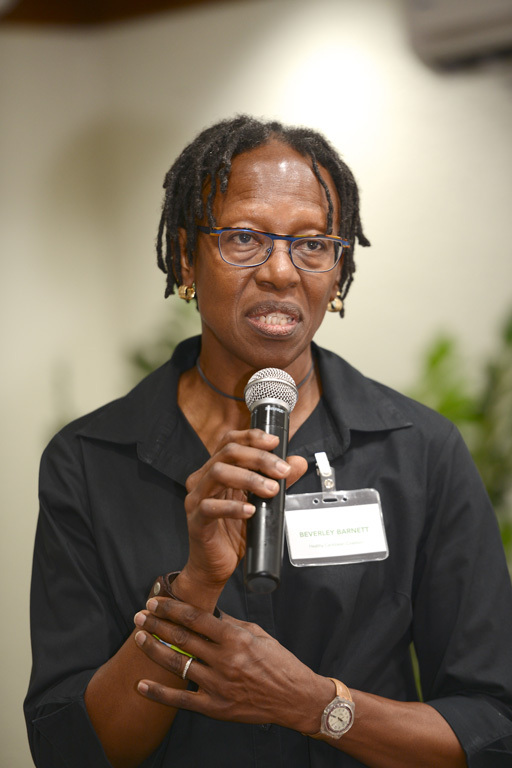 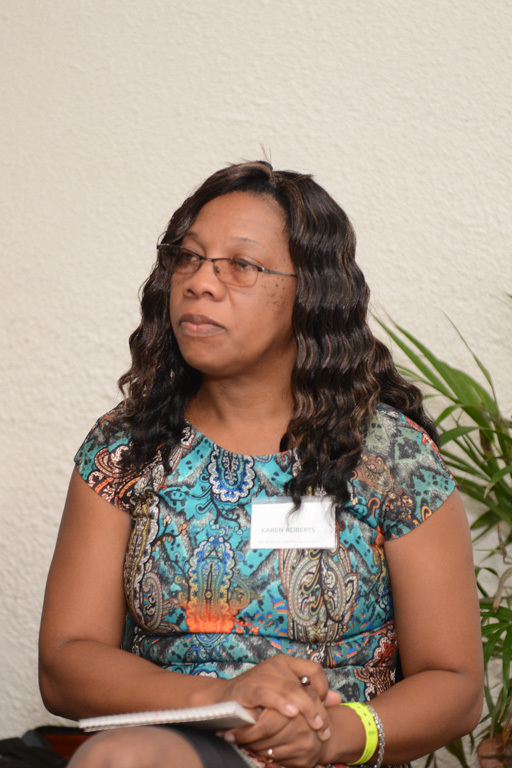 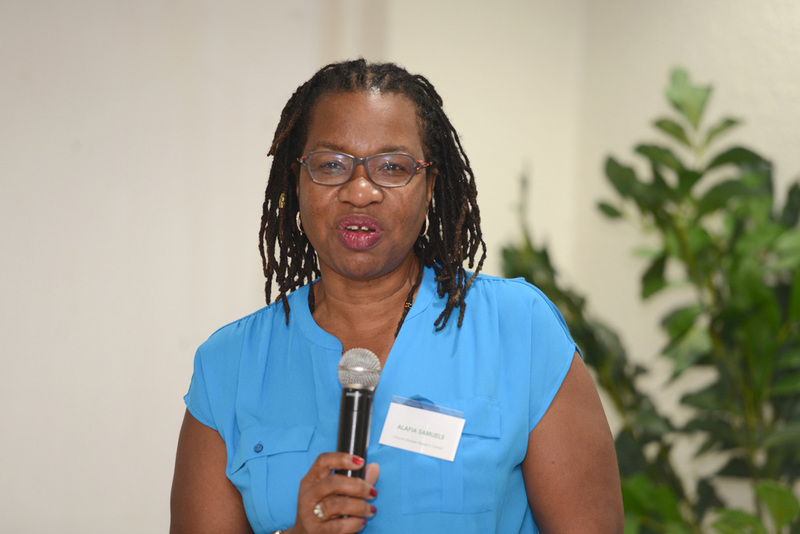 Accountability and it’s reality in the Caribbean for diverse stakeholders with similar experiences of resource limitations, was discussed in depth with Dr. Alafia Samuels highlighting the significant burden of reporting faced by ministries of health and CSOs sharing similar challenges as they related to the capacity and resources to play the important ‘watchdog’ role. 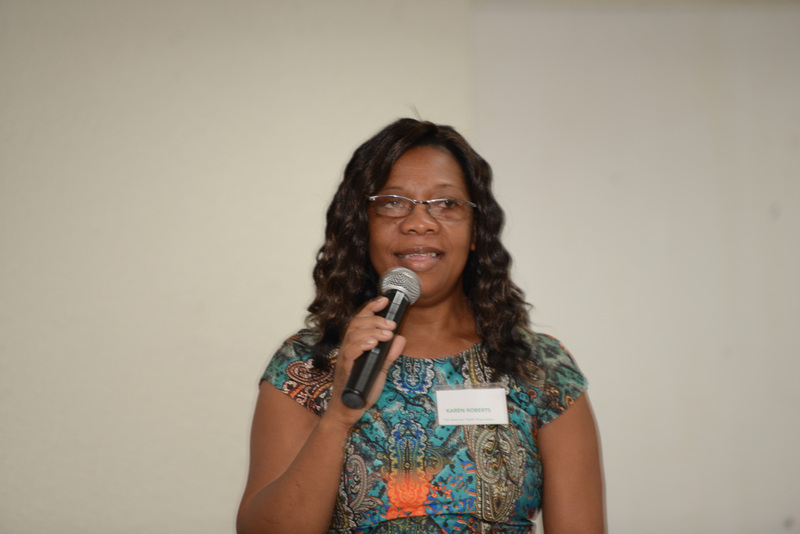 An accountability tool for CSO monitoring of national childhood obesity policy responses was shared and reviewed. Finally, guided by Prof Jeff Collins and Dr. Derrick Aarons, delegates to the meeting explored the difficult and complex issue of conflict of interest especially within the context of small island developing states; and began the process of framing a COI policy to guide the work of the HCC as the organisation seeks to expand partnerships with a diverse and interconnected regional private sector. 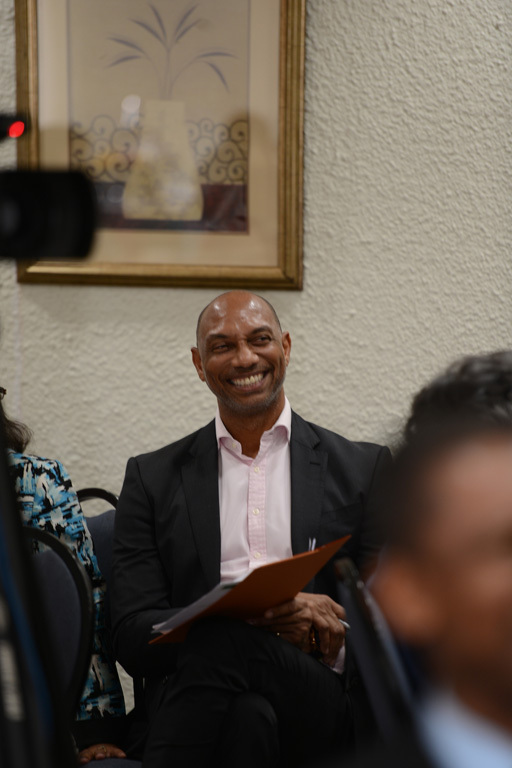 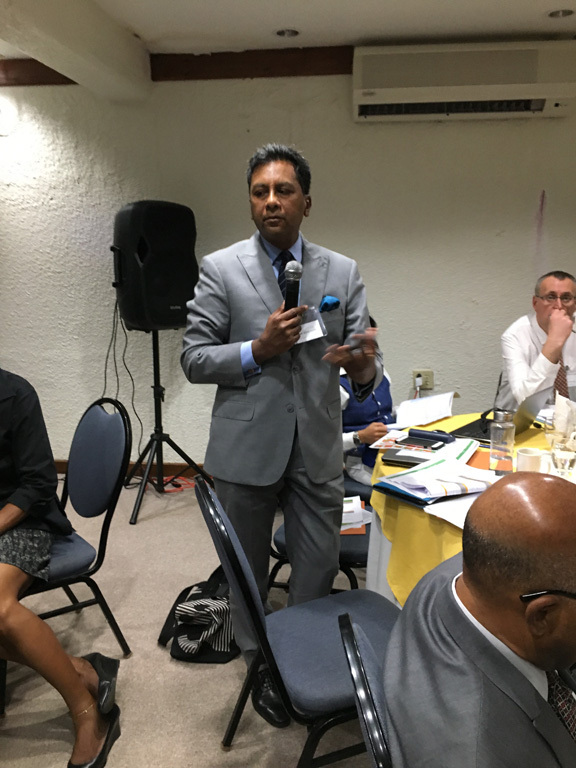 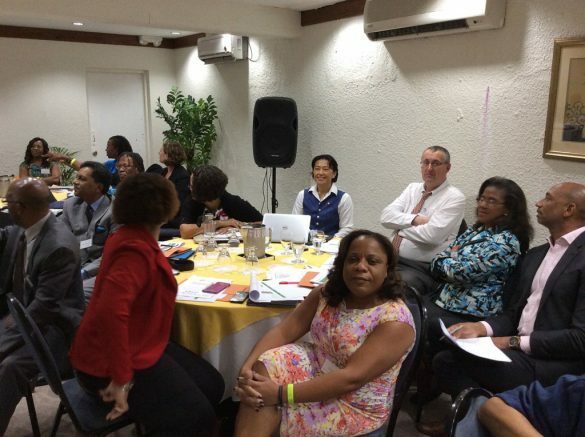 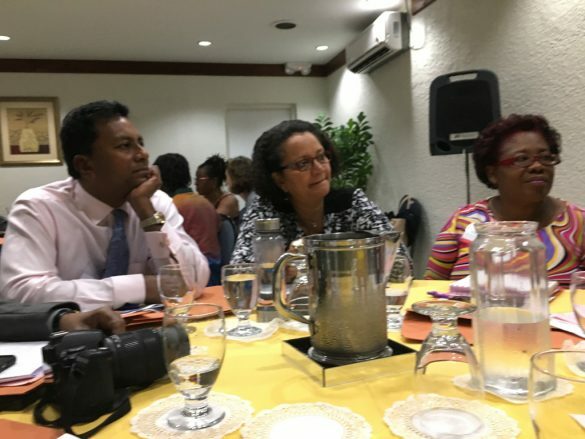 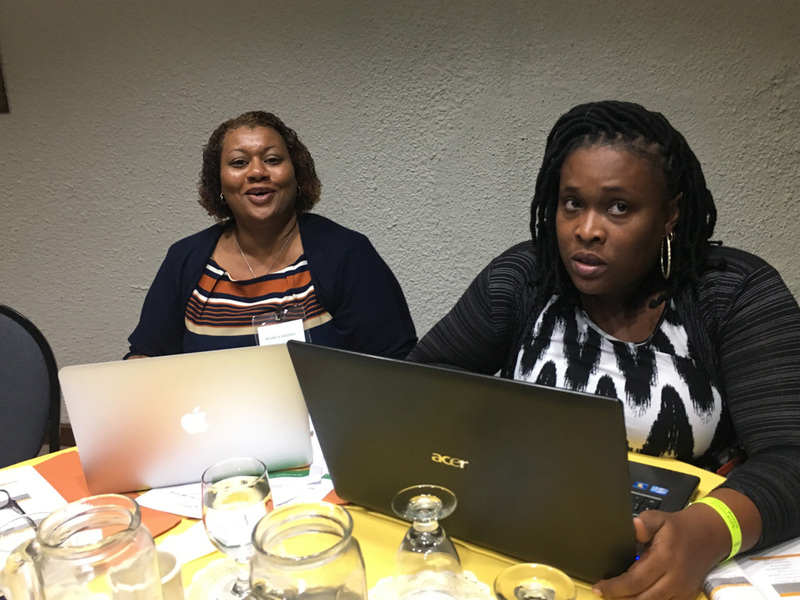 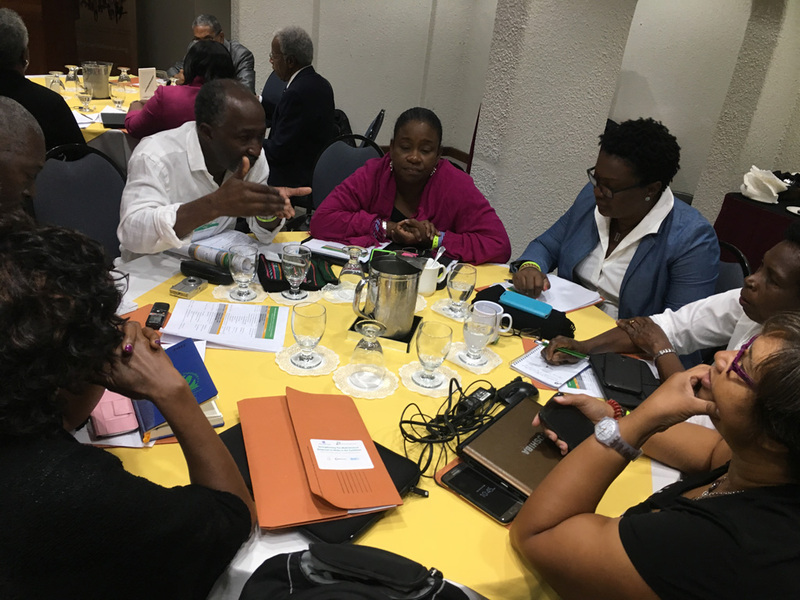 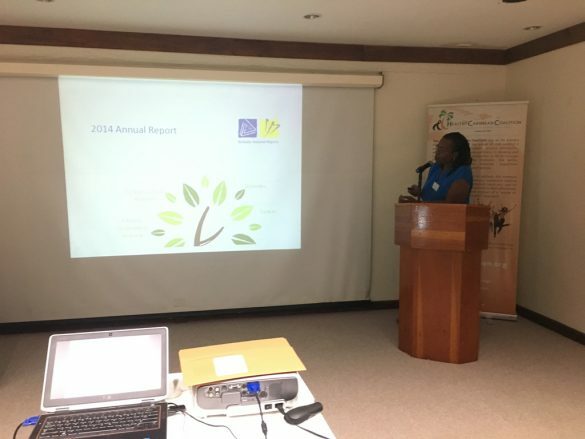 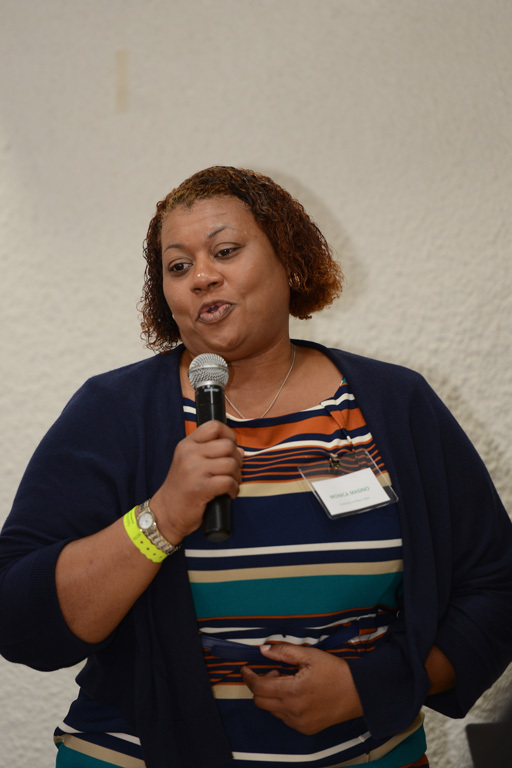 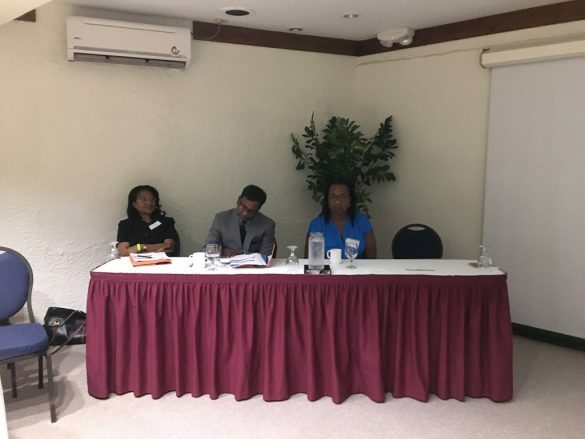 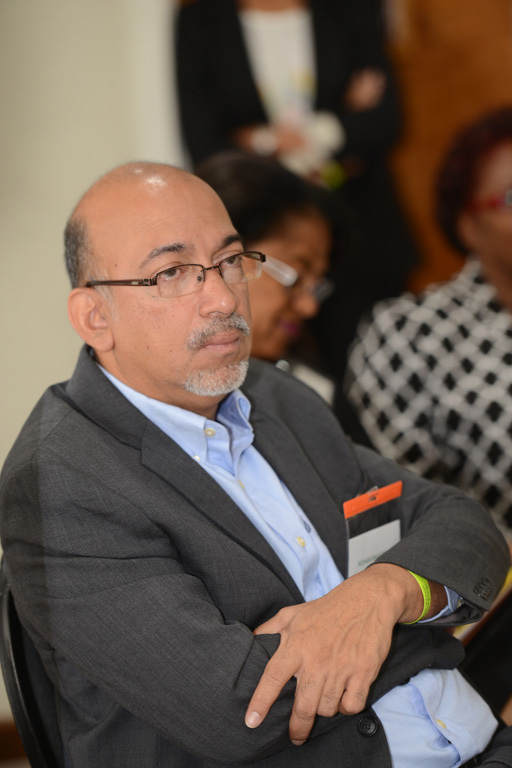 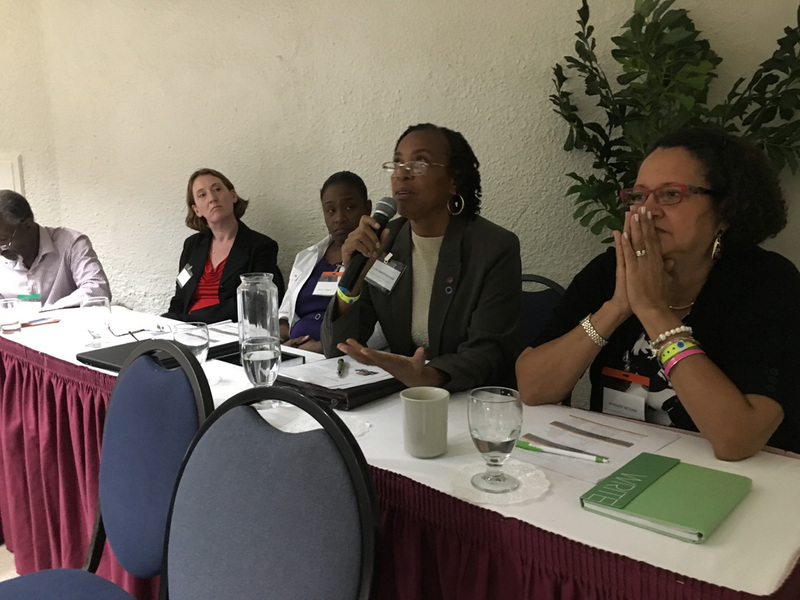 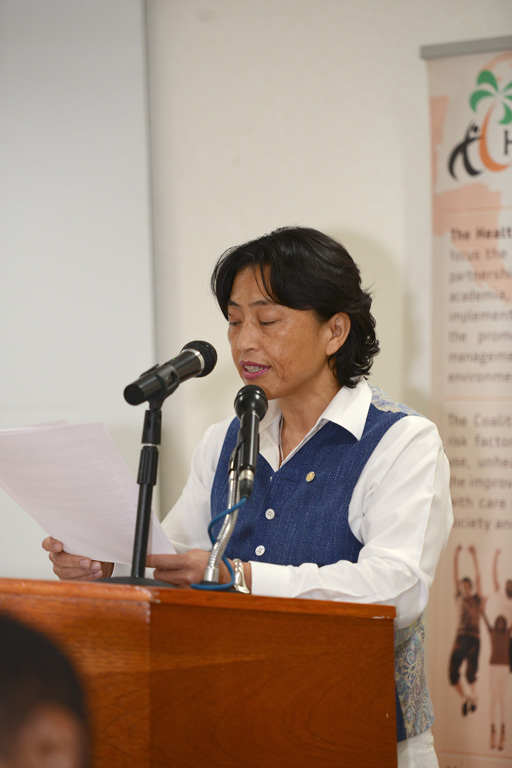 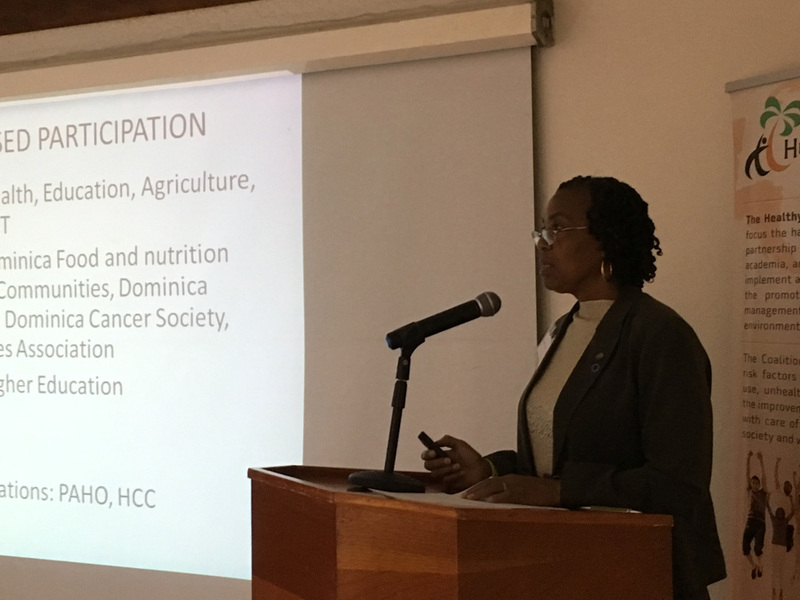 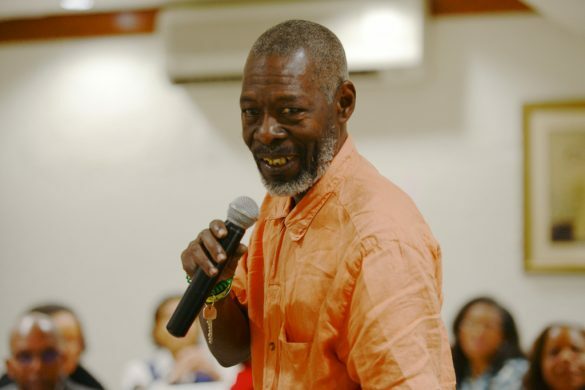 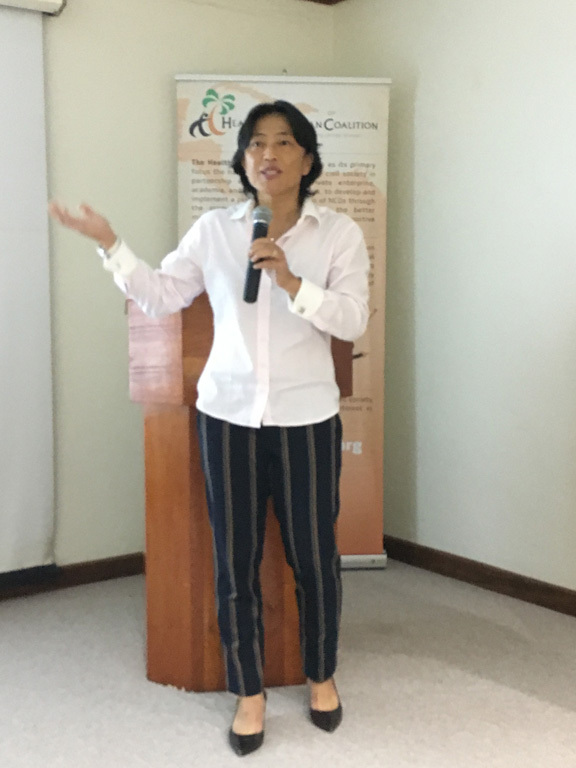 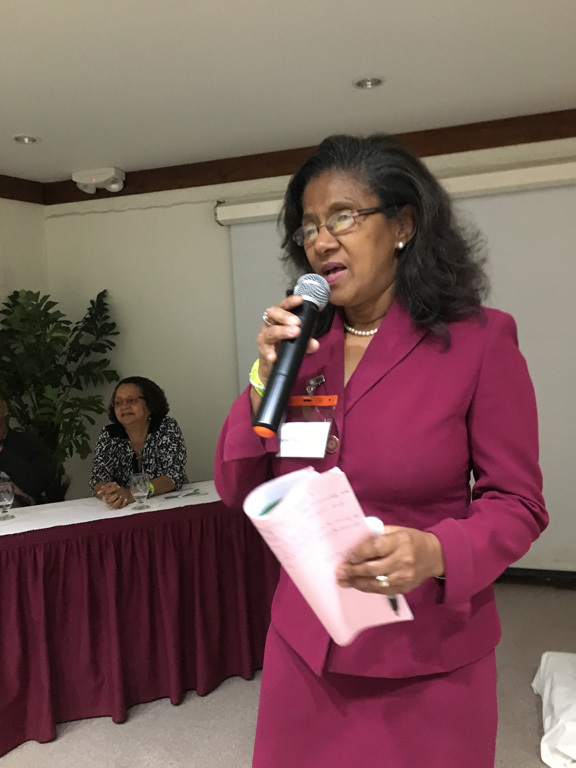 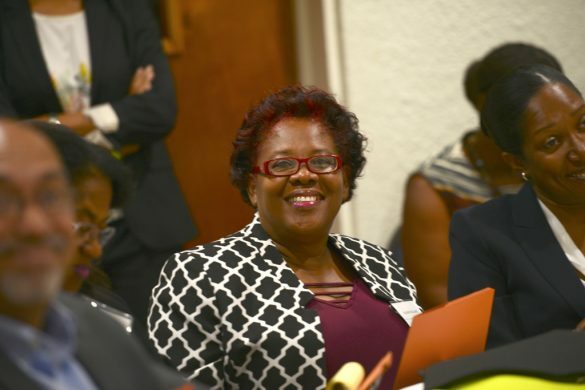 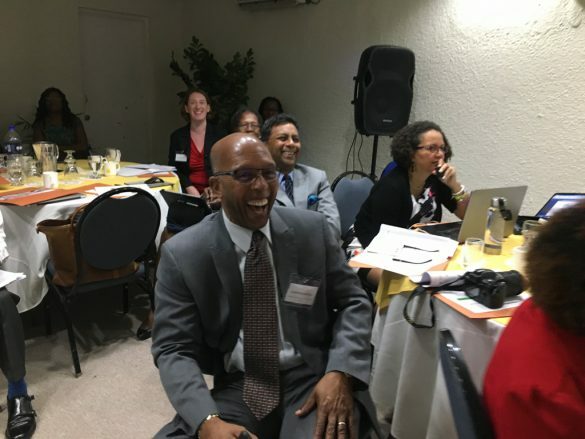 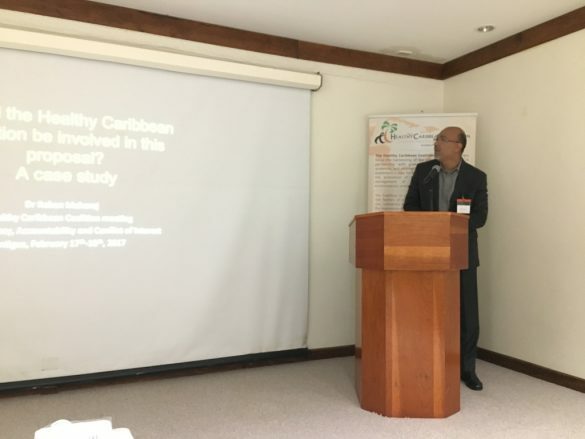 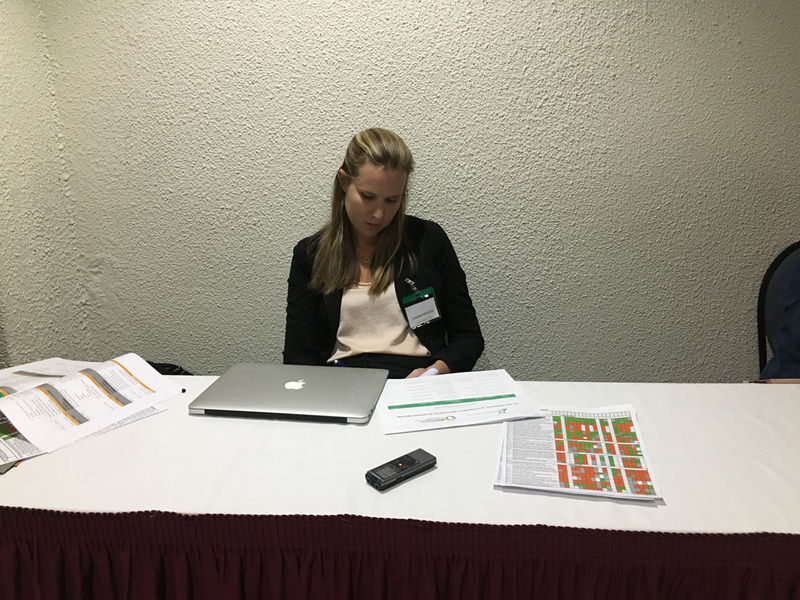 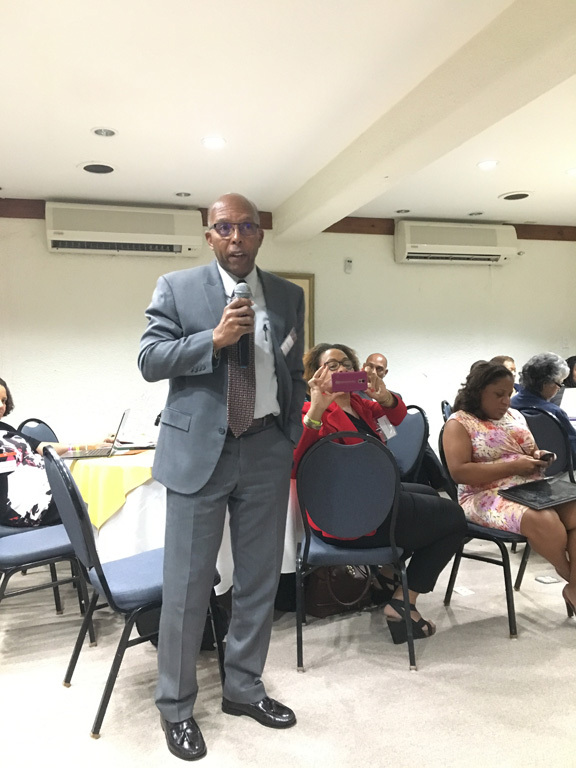 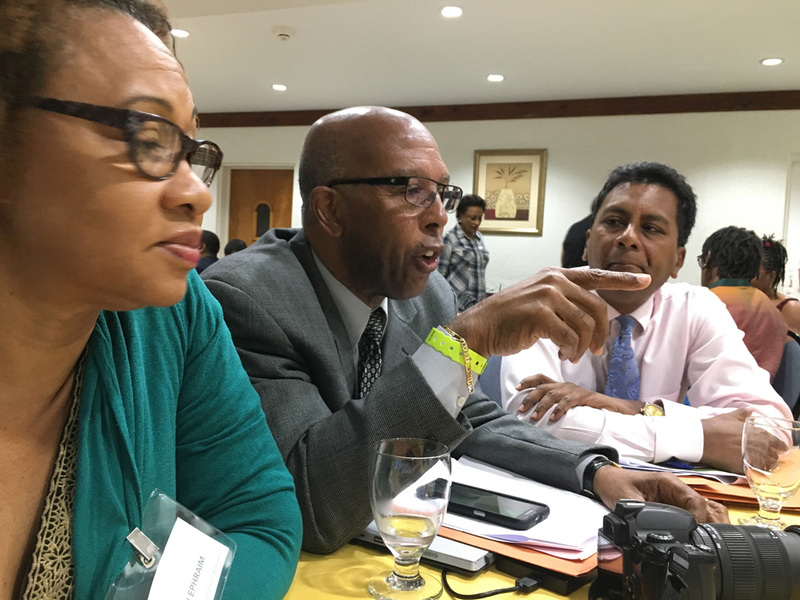 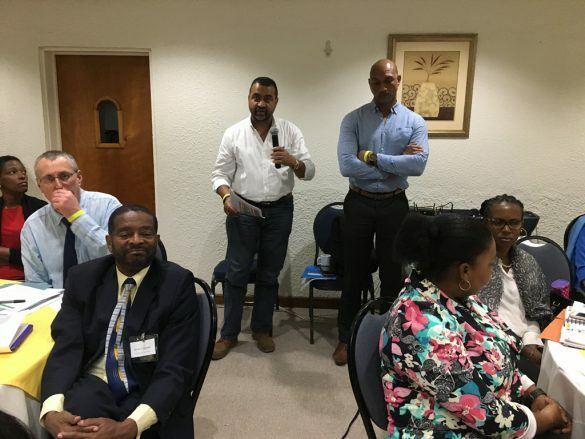 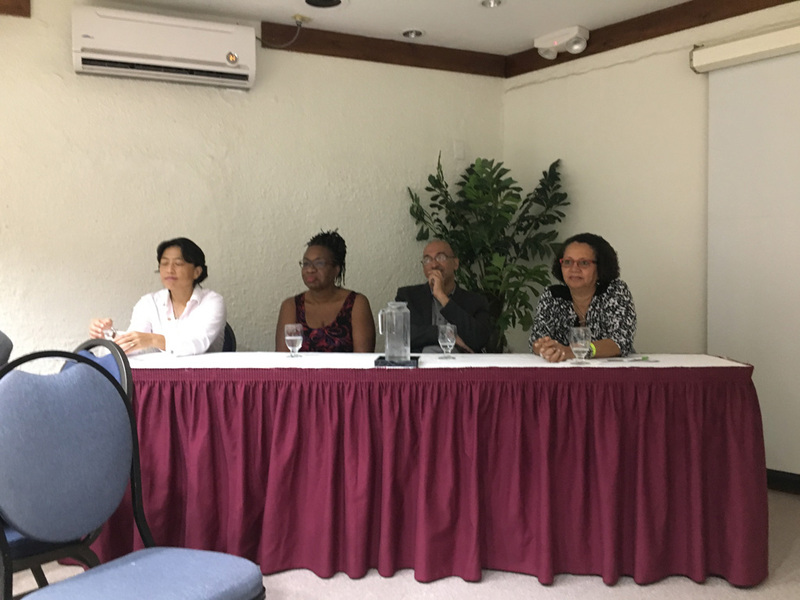 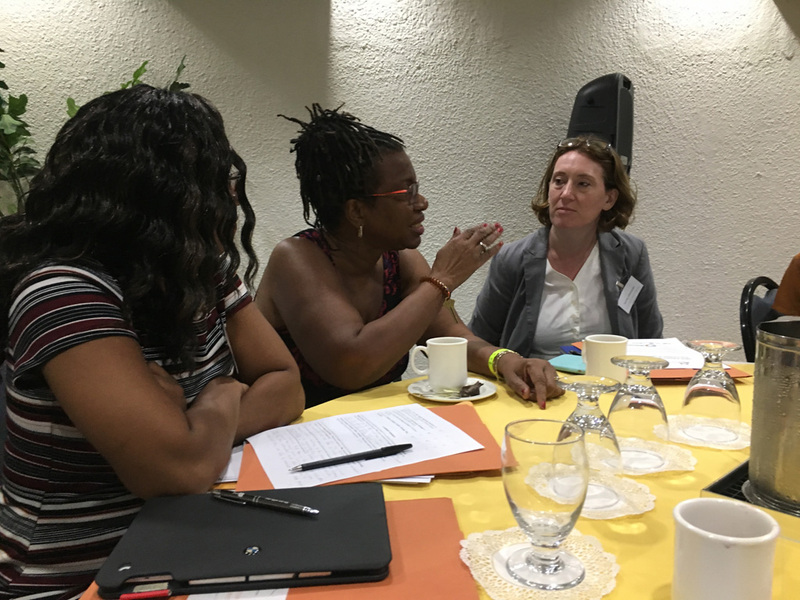 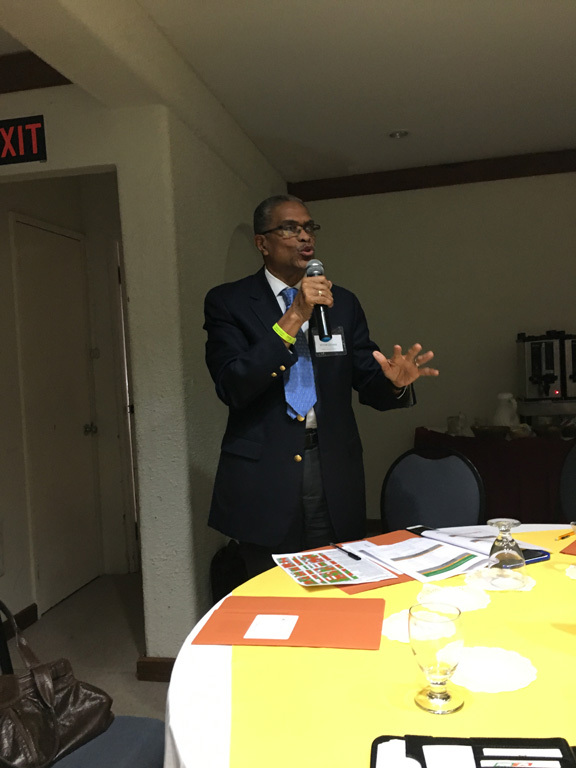 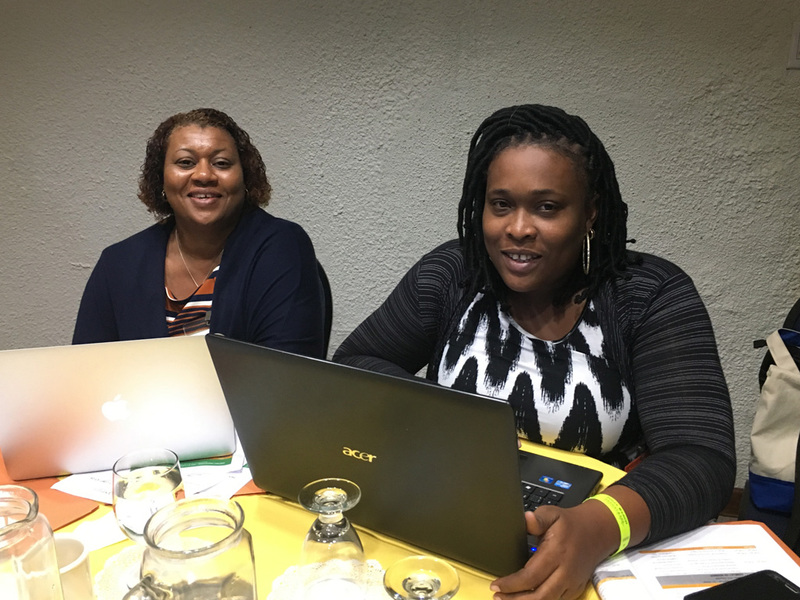 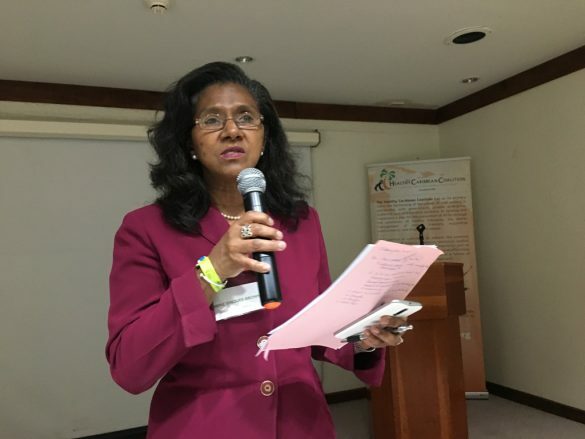 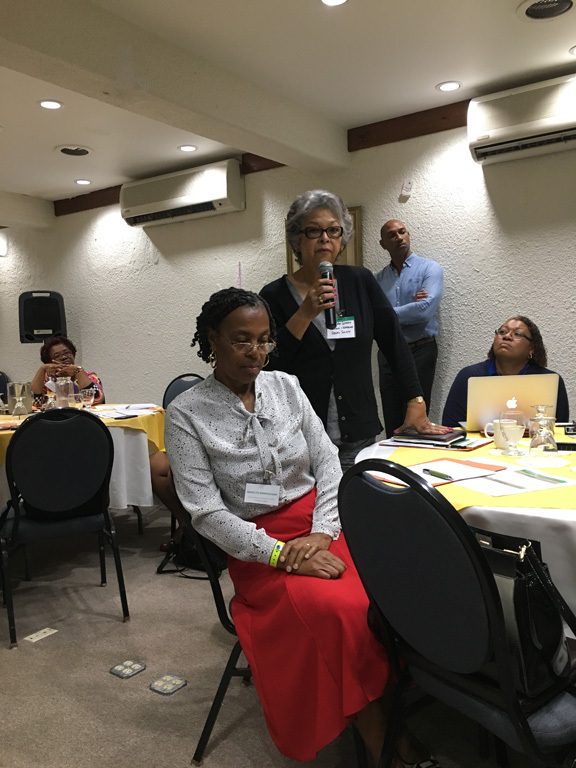 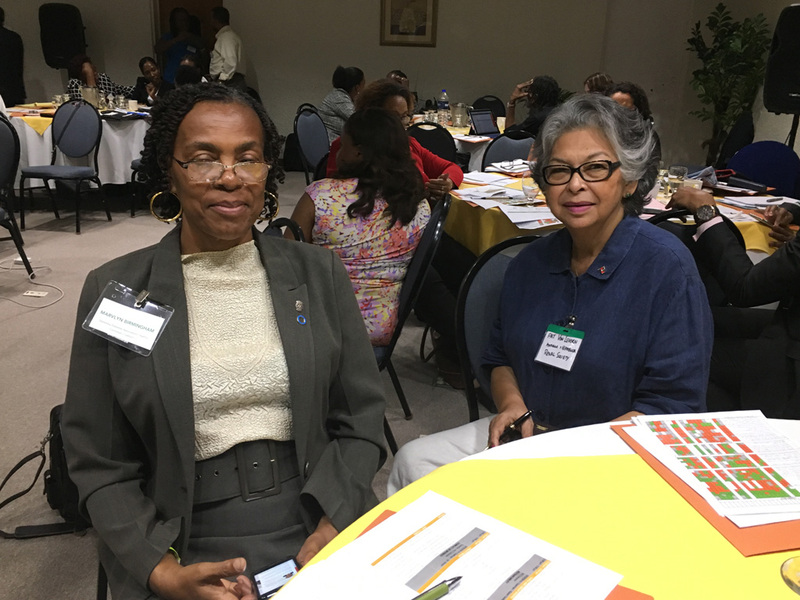 The report is a summary of the presentations, deliberations and recommended way forward emerging from the Healthy Caribbean Coalition (HCC) NCD Advocacy, Accountability, and Conflict of Interest Meeting held in February 2017. 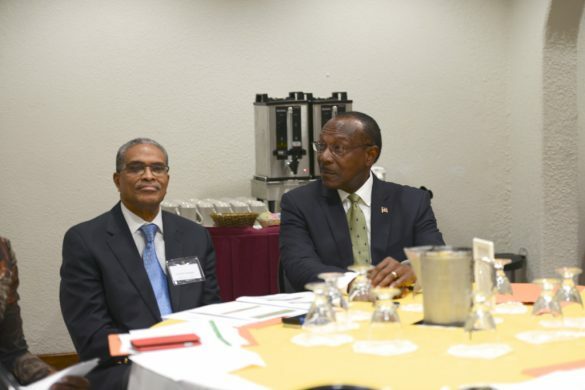 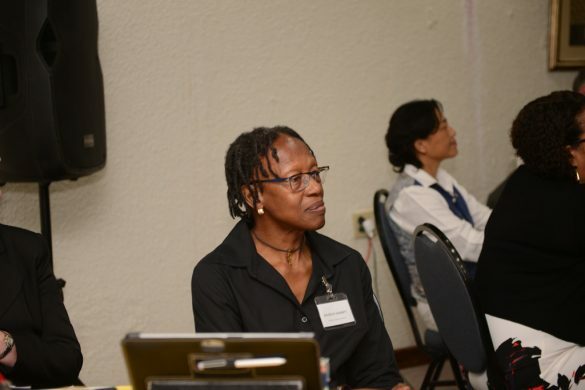 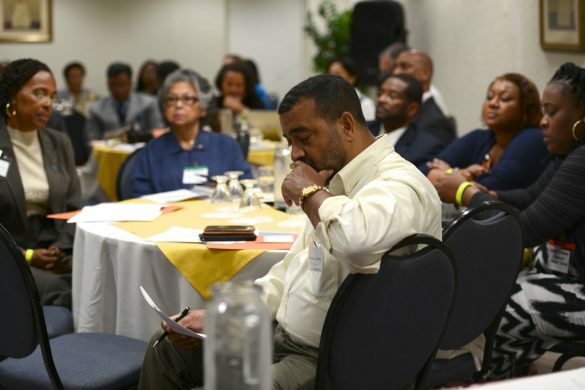 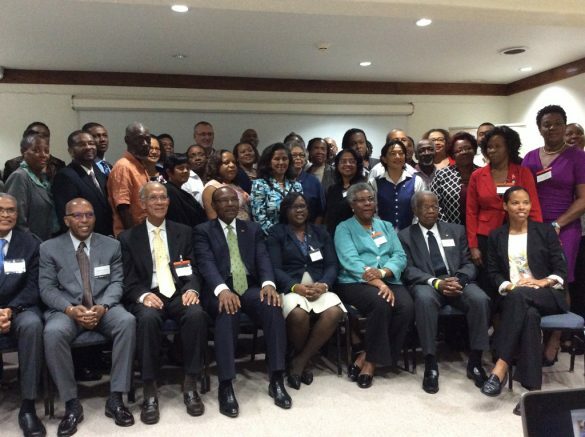 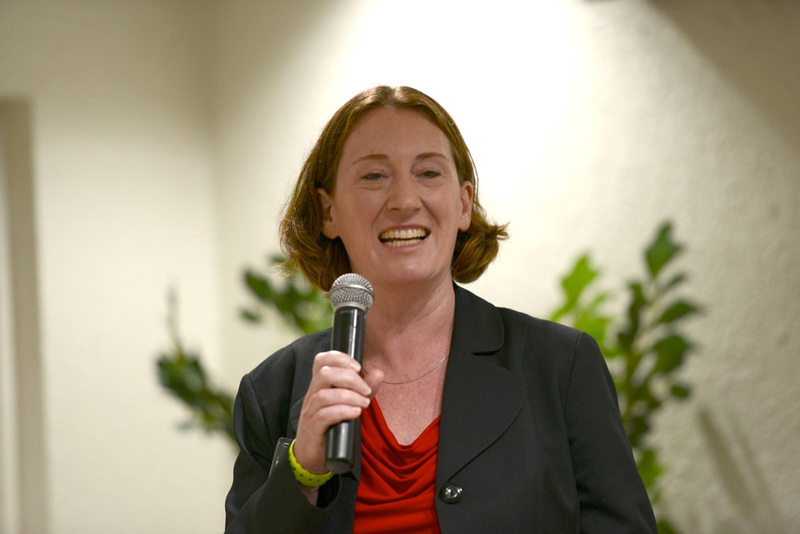 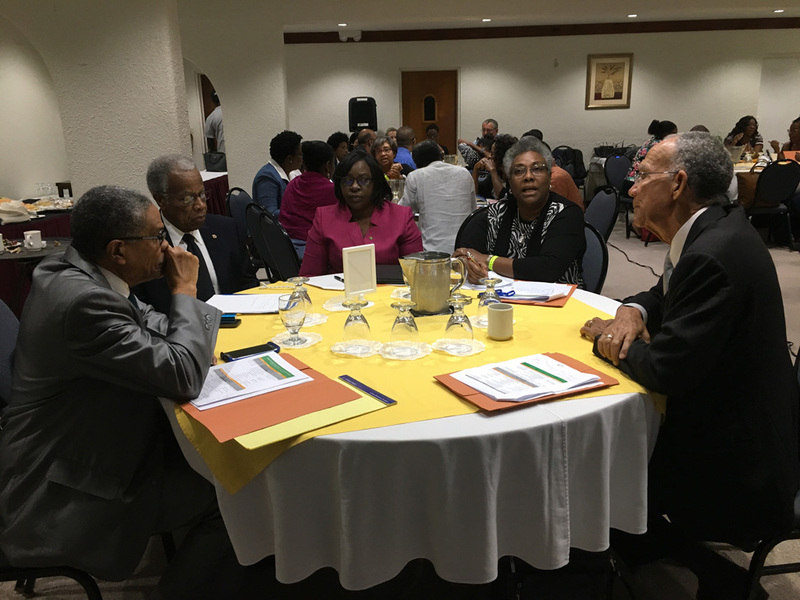 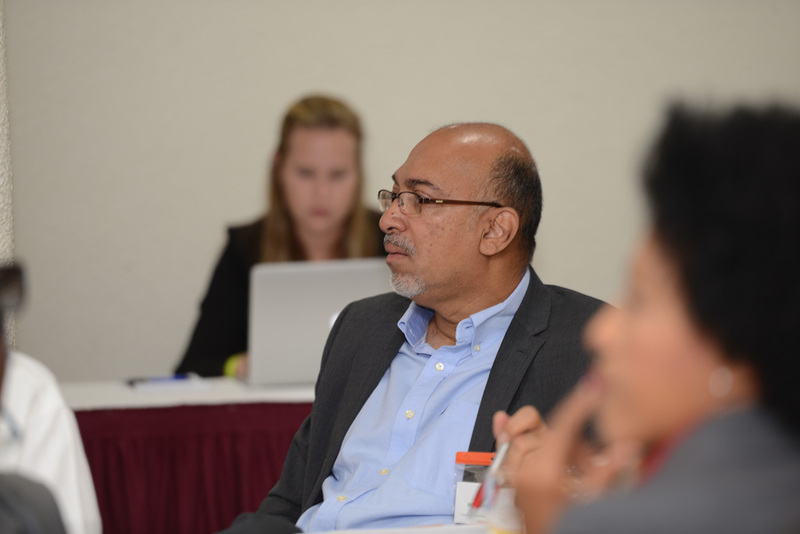 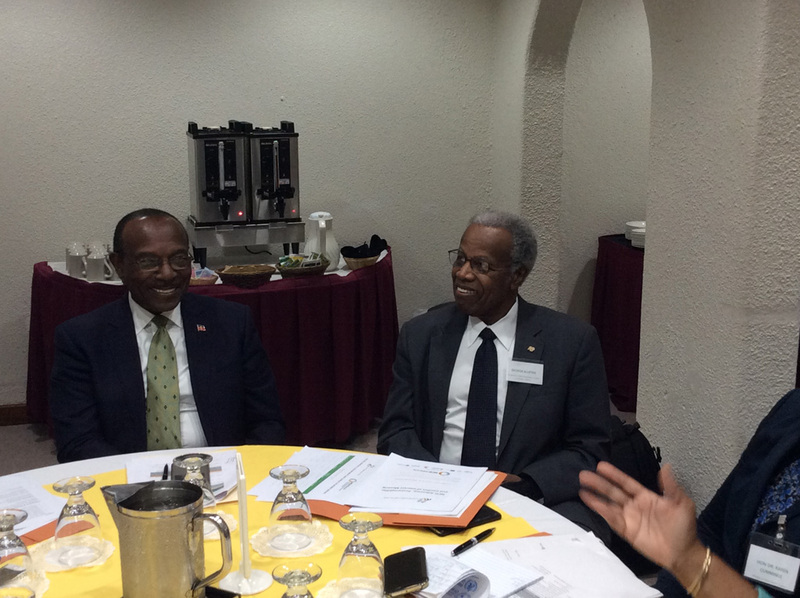 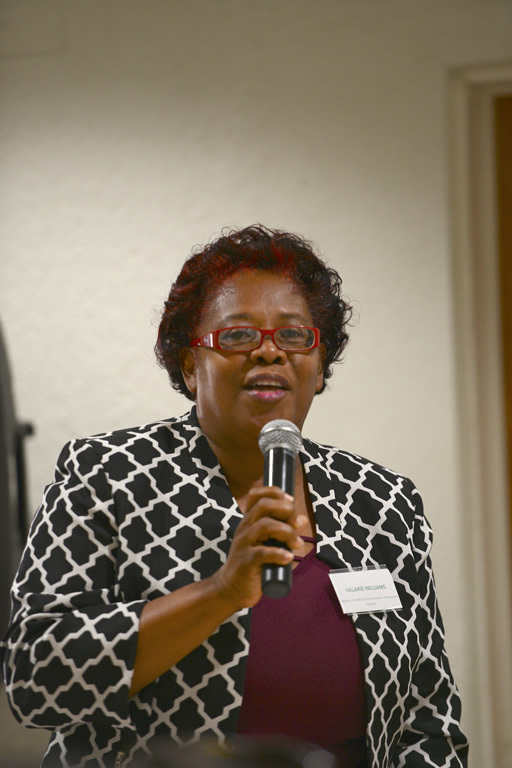 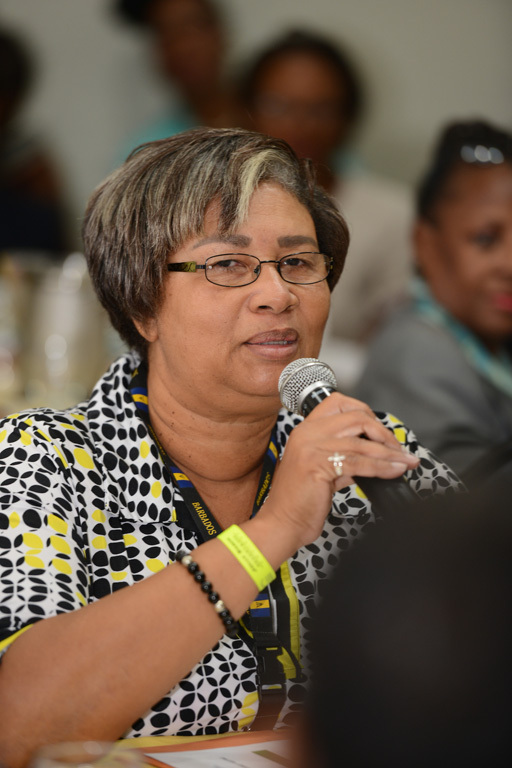 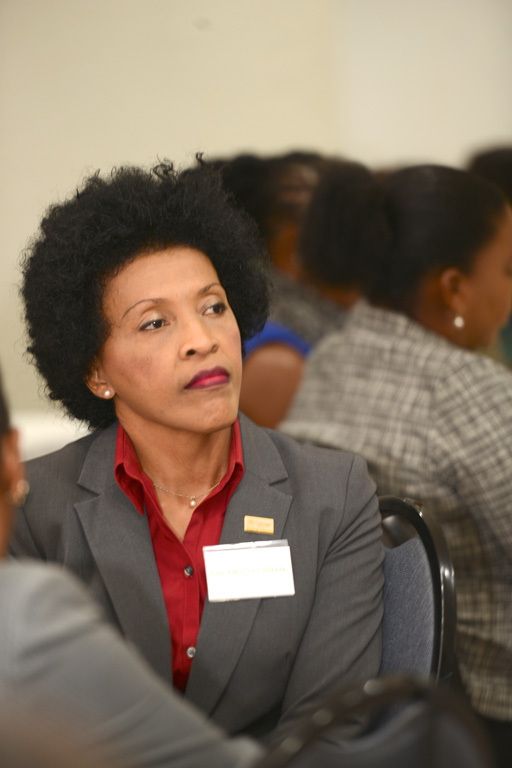 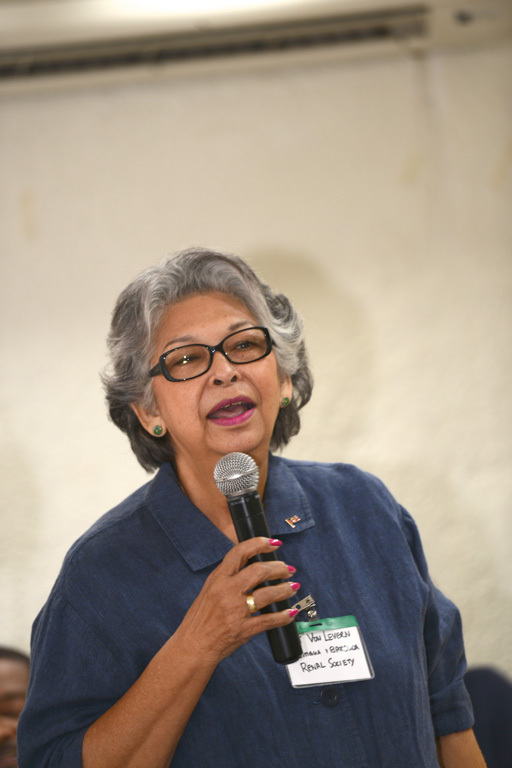 The meeting was attended by forty-nine participants from eleven Caribbean territories, the United States and Scotland. The stakeholders represented all sectors of society including noncommunicable disease (NCD) civil society organisations (CSOs), non-health CSOs, medical associations, service clubs, private sector, academia, governments, and regional public health institutions.